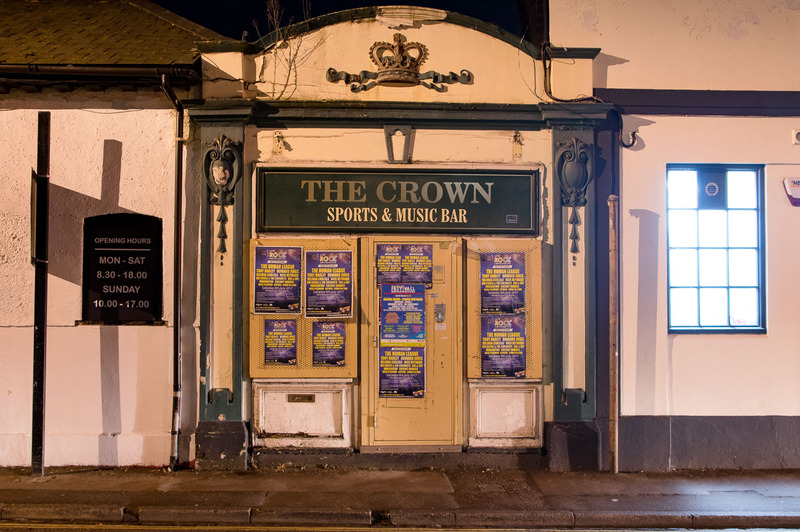 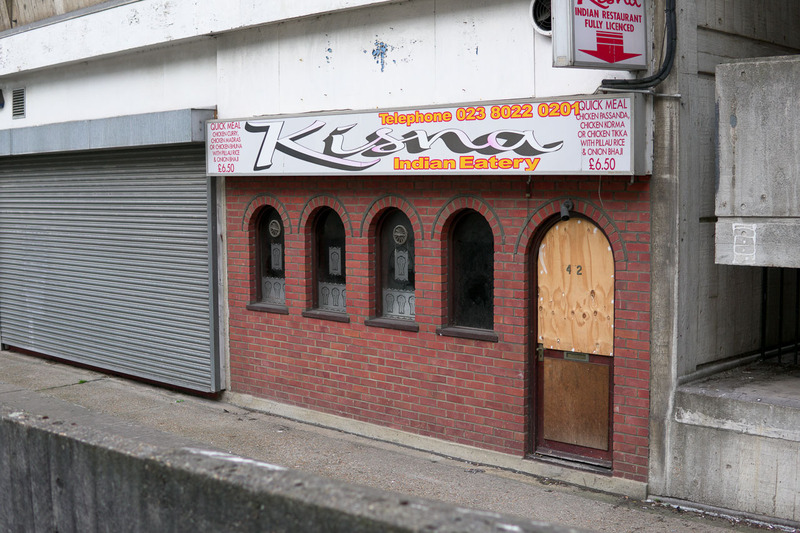 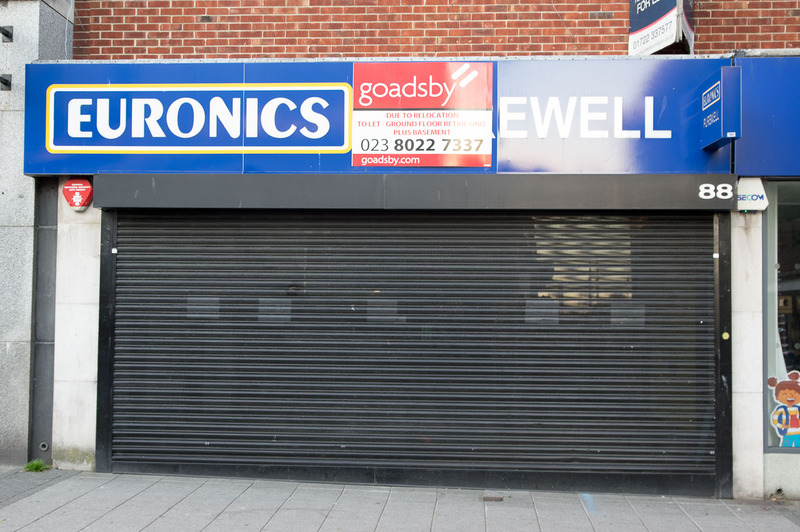 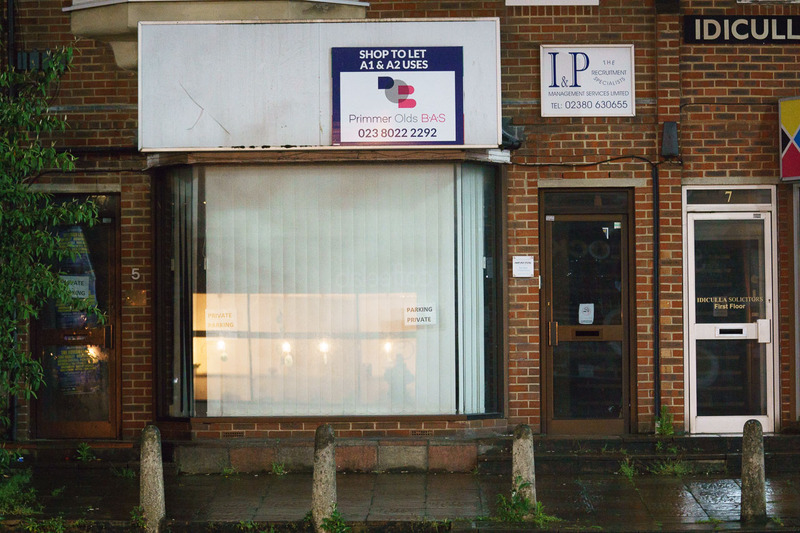 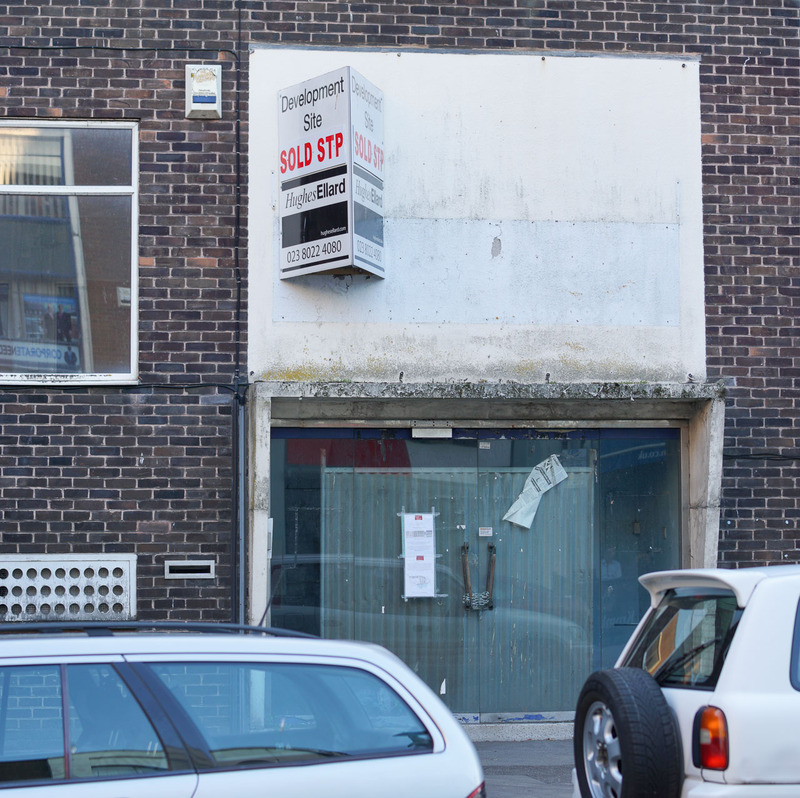 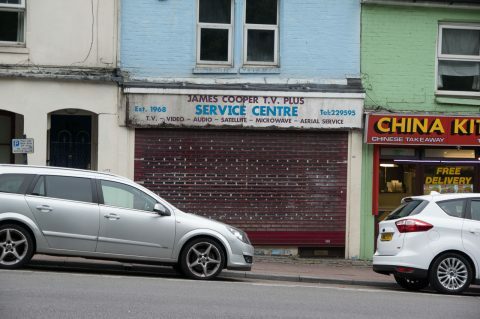 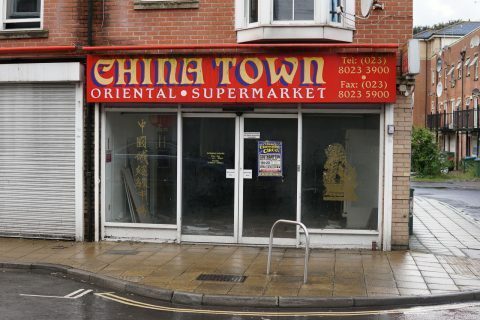 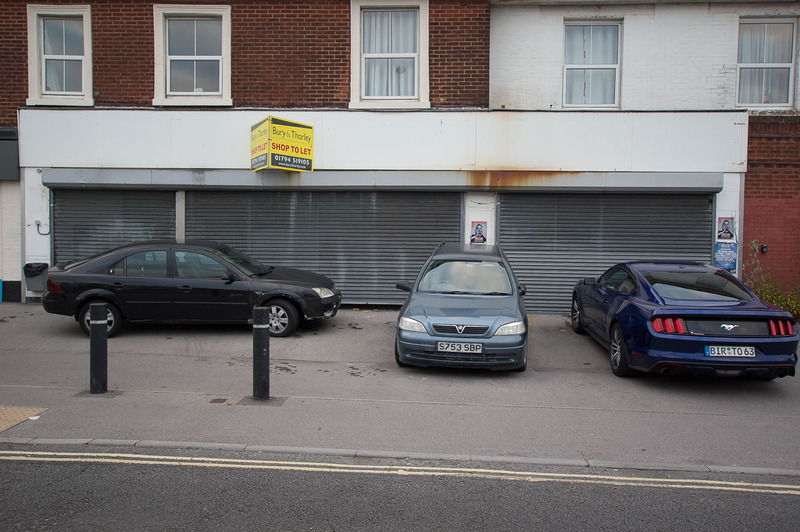 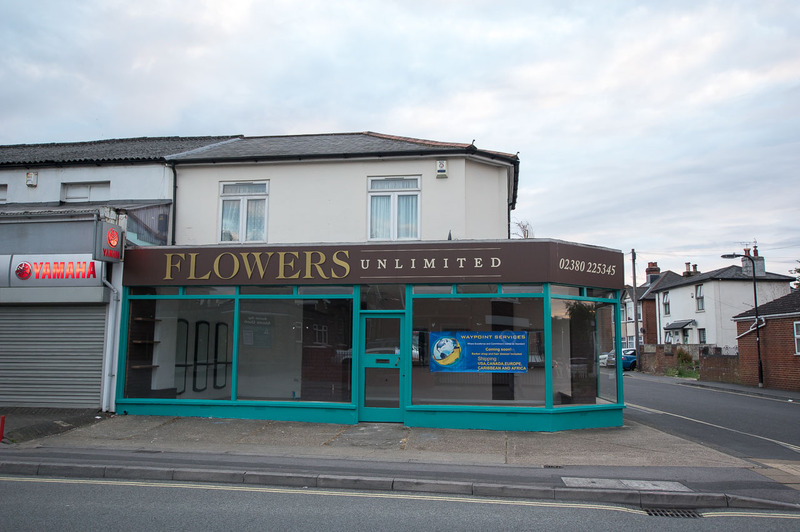 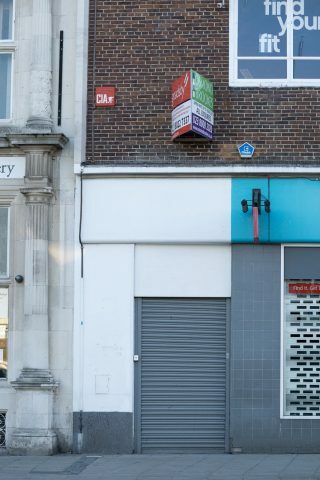 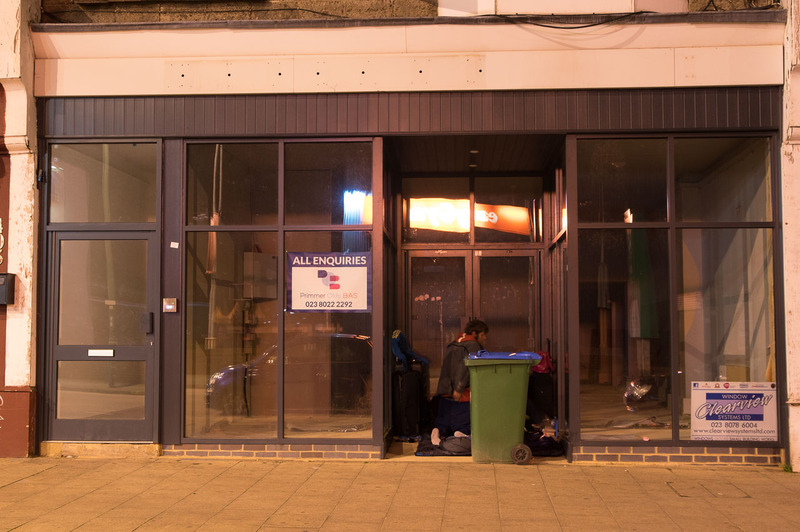 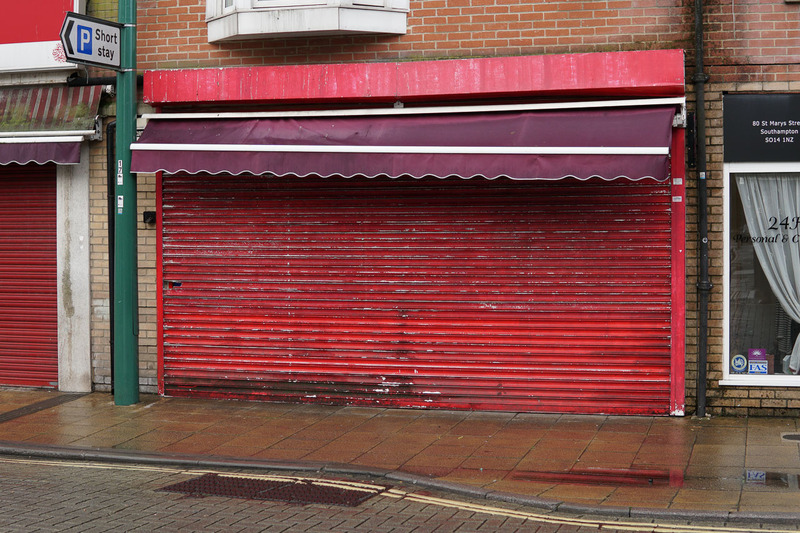 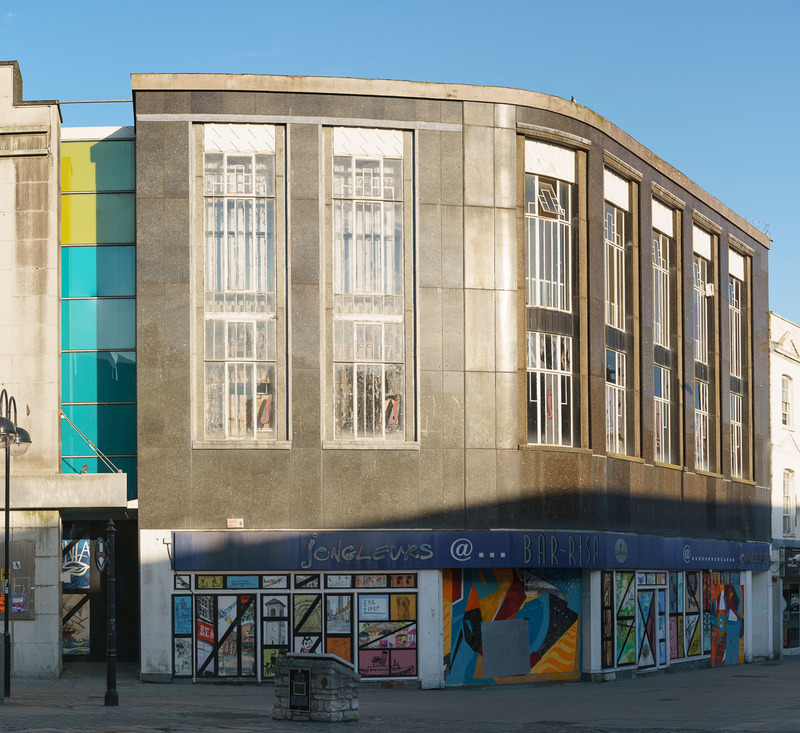 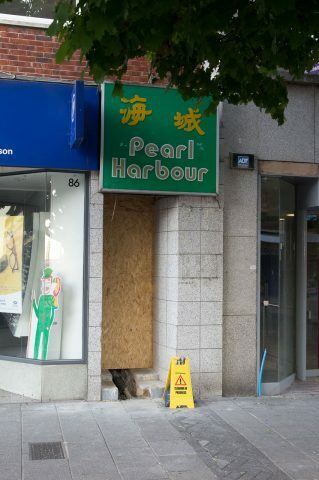 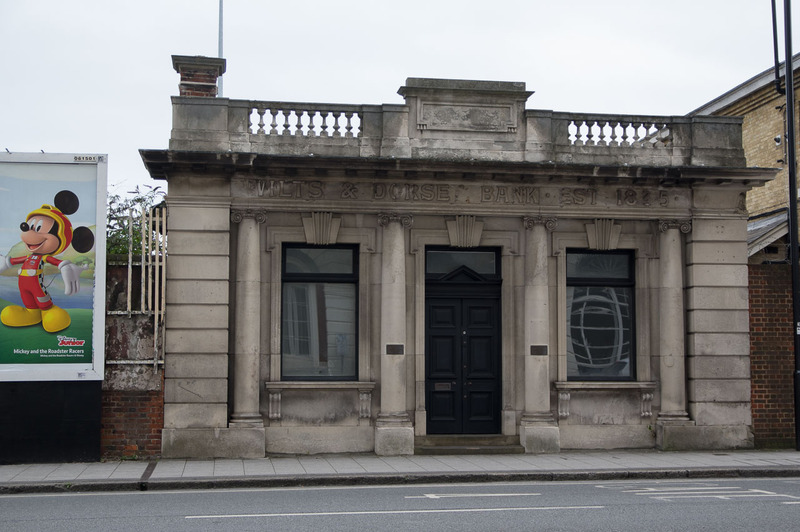 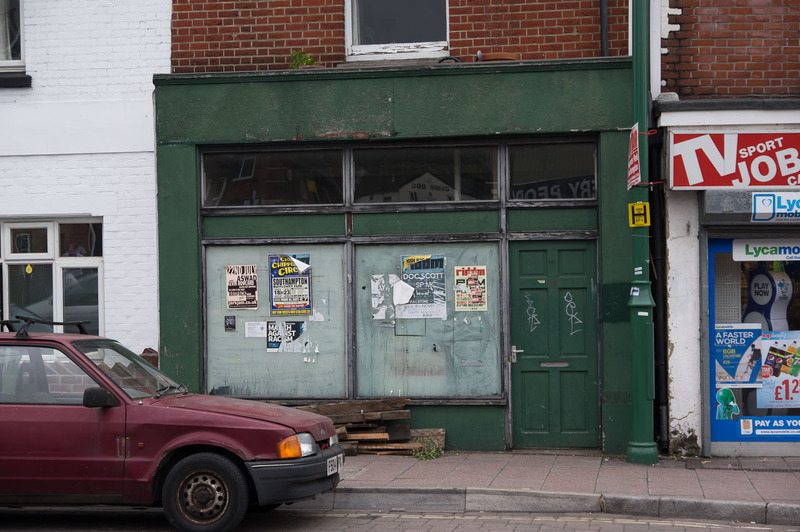 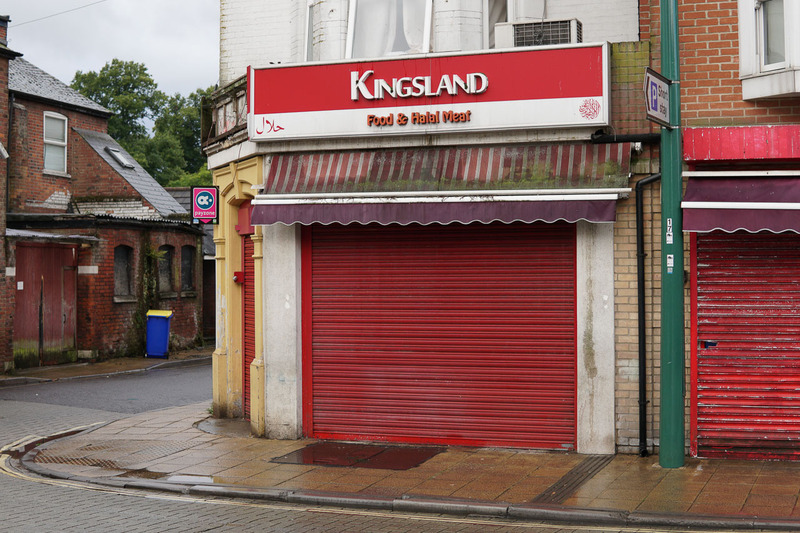 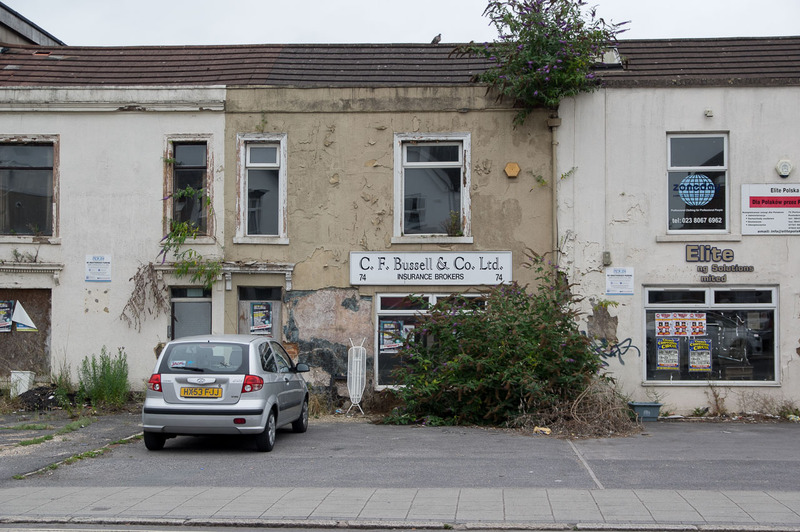 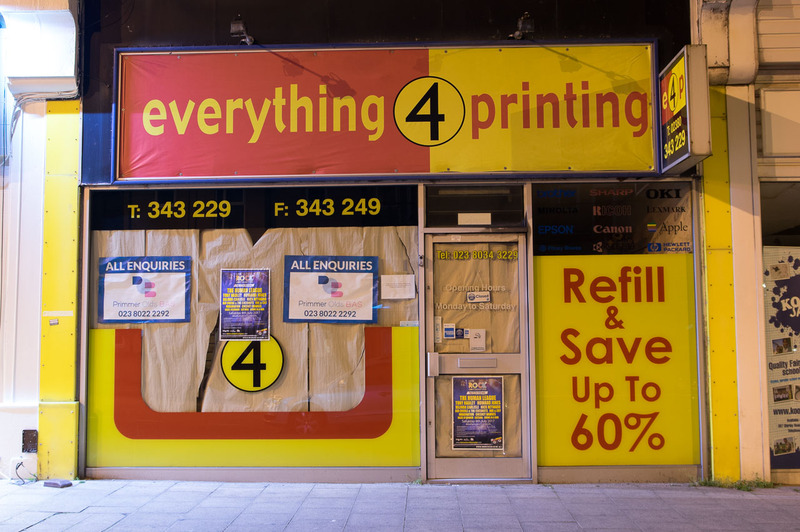 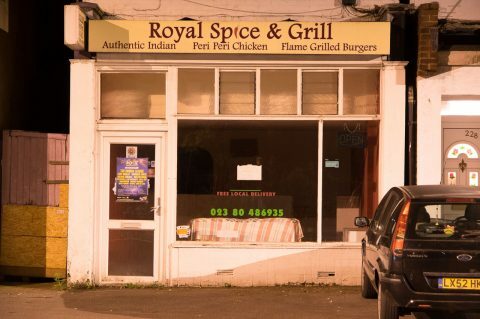 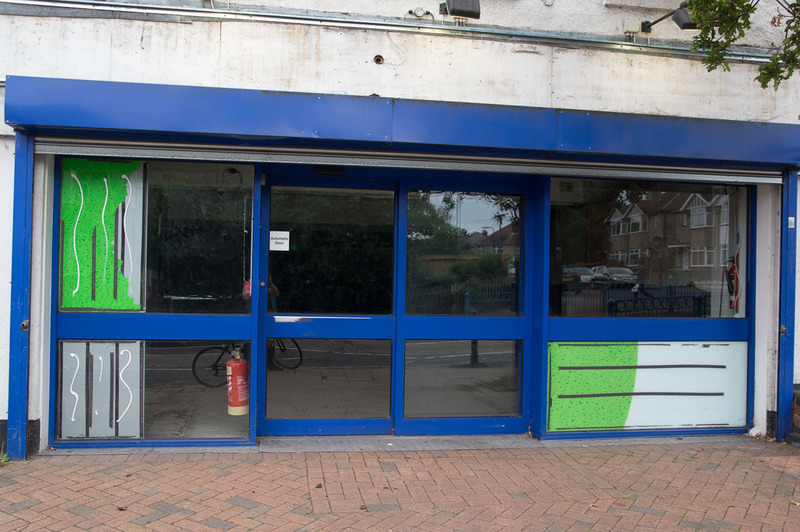 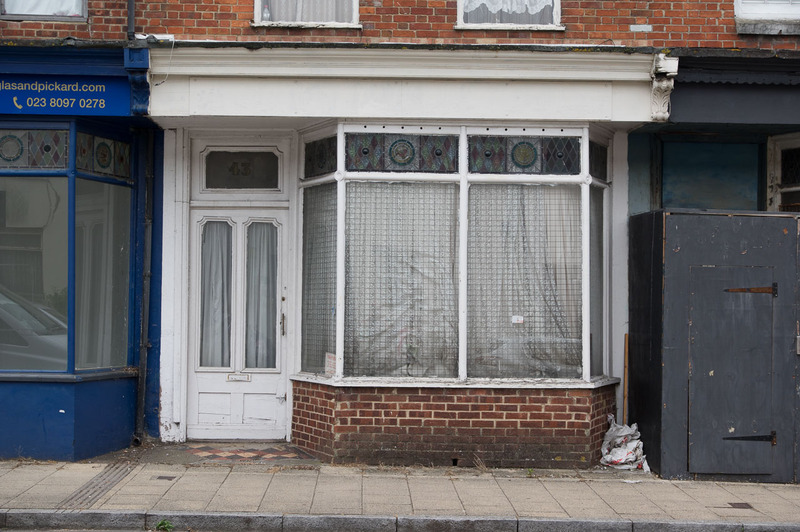 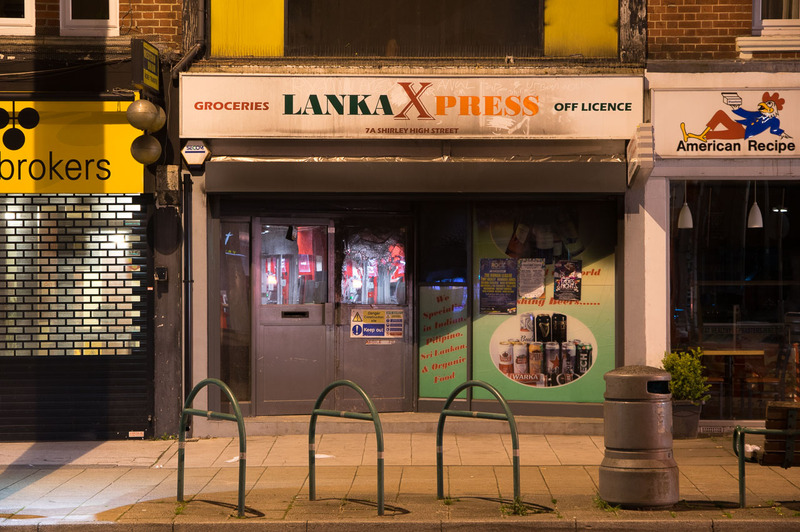 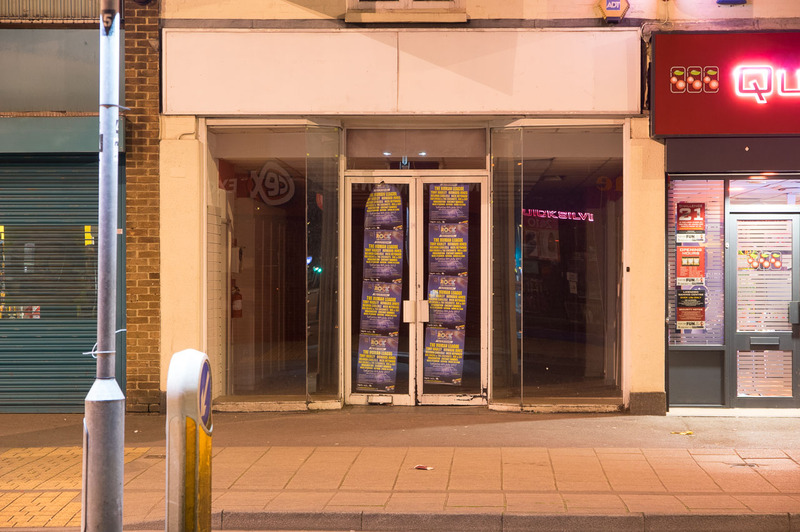 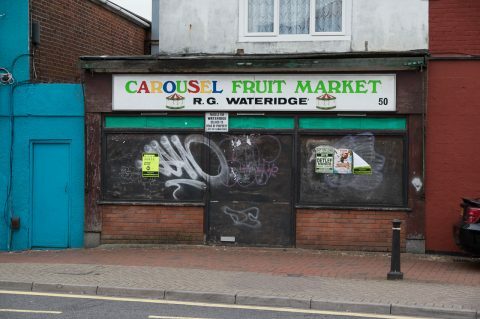 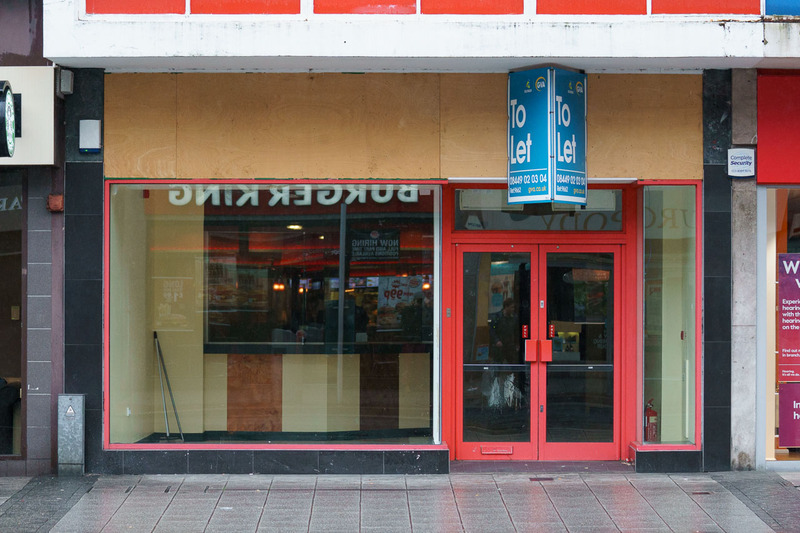 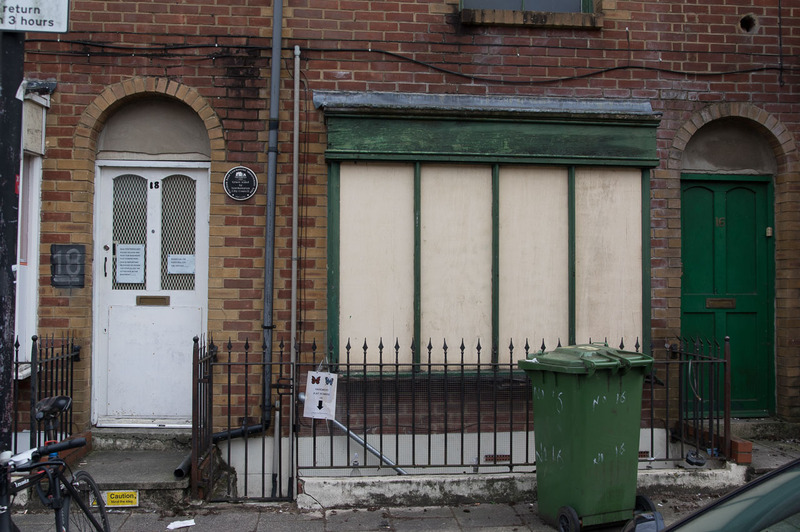 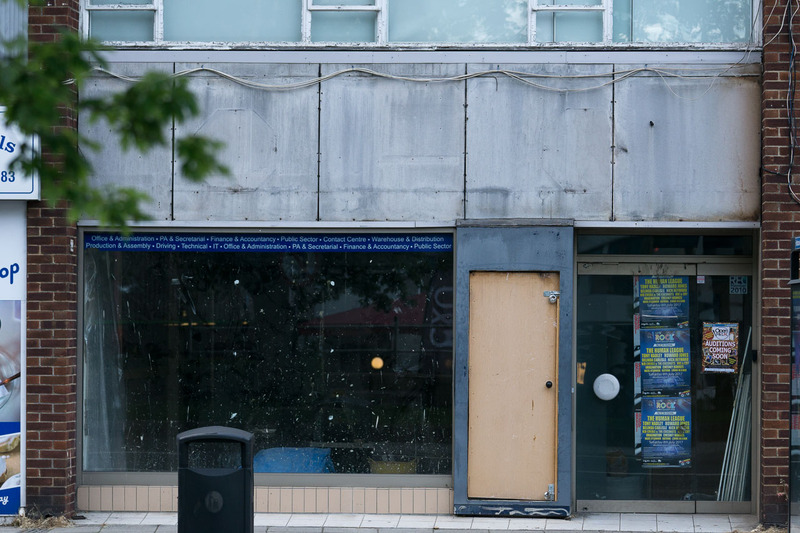 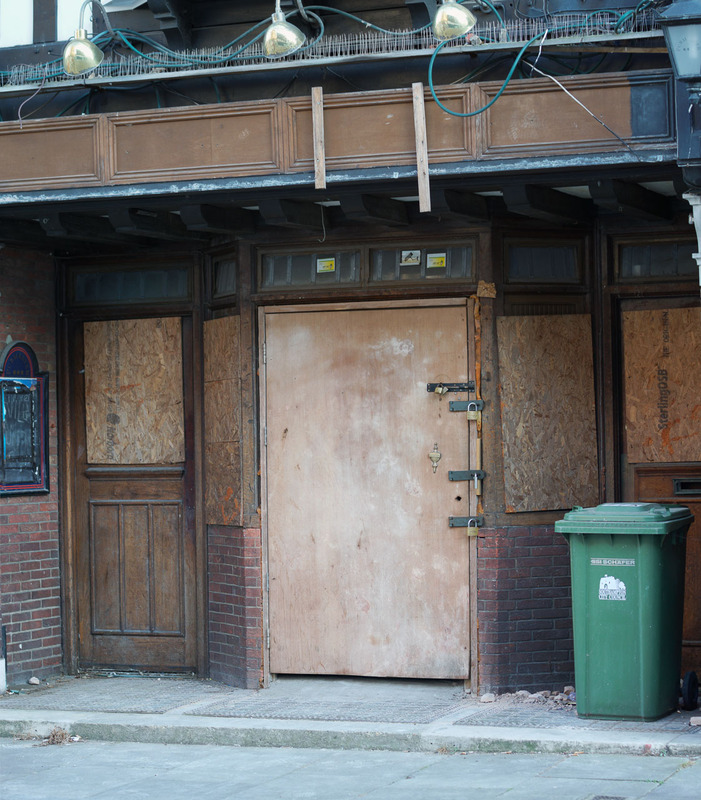 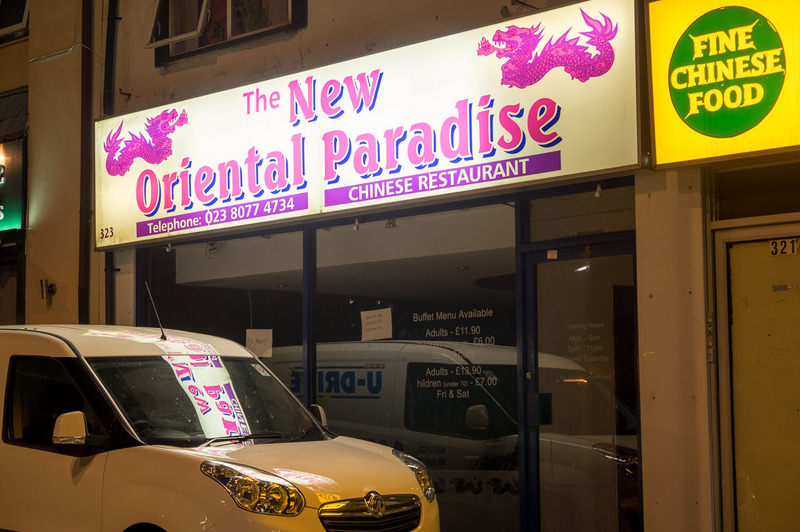 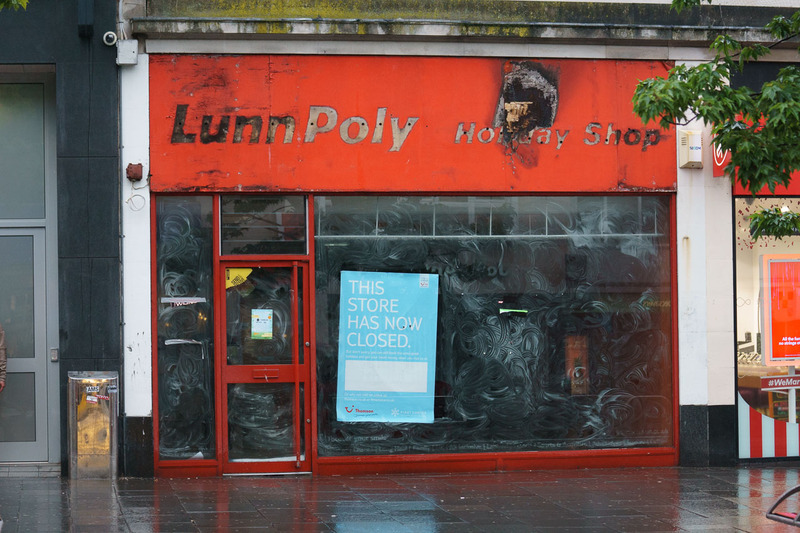 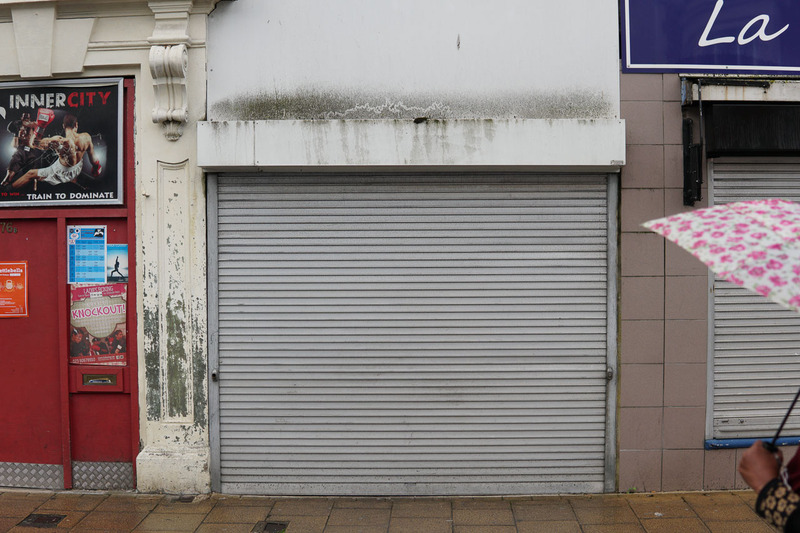 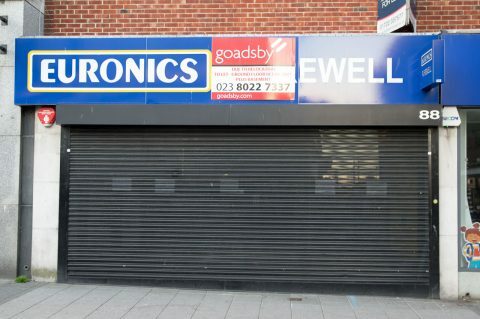 Over the course of a couple of months I’ve taken photographs of ~140 closed down shops or commercial buildings around Southampton, west of the Itchen. I’ve no doubt I’ve missed a lot more, but already it seems enough to show a sad truth about the city. 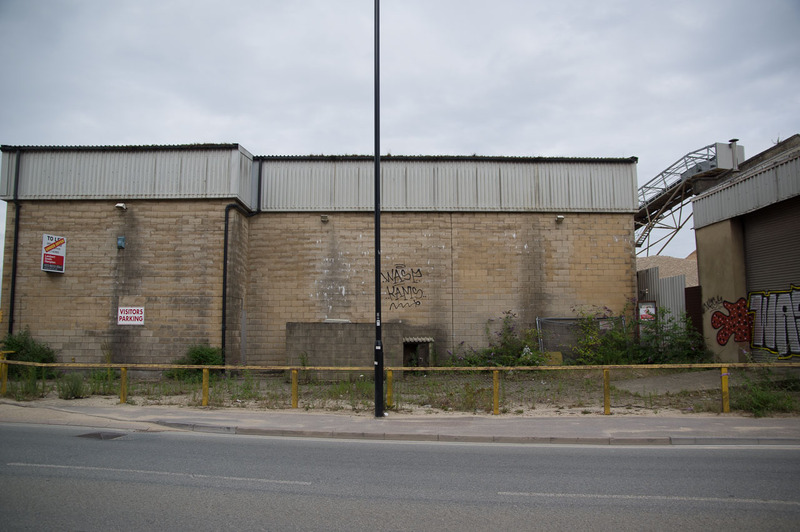 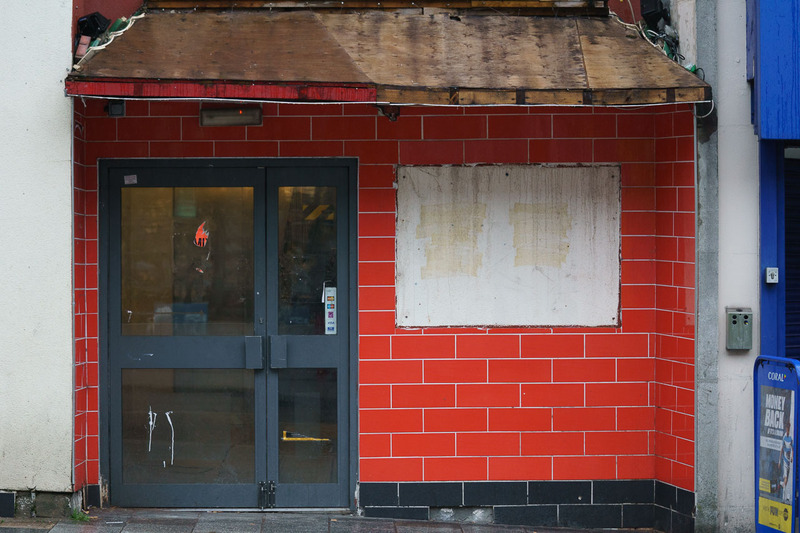 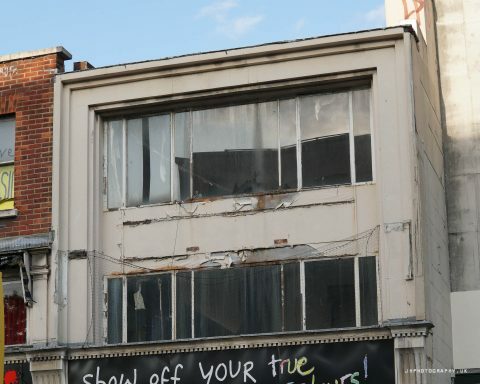 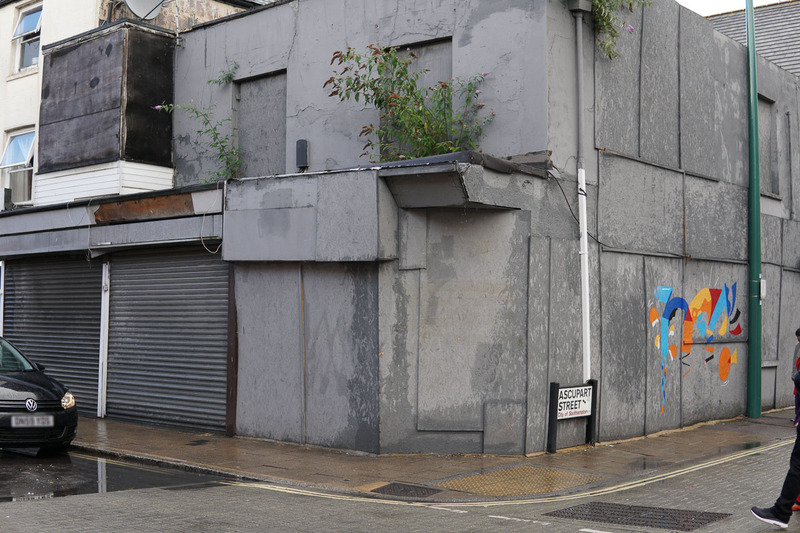 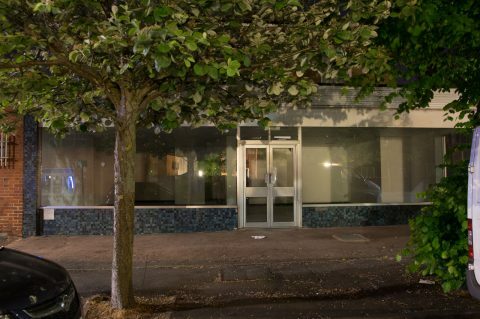 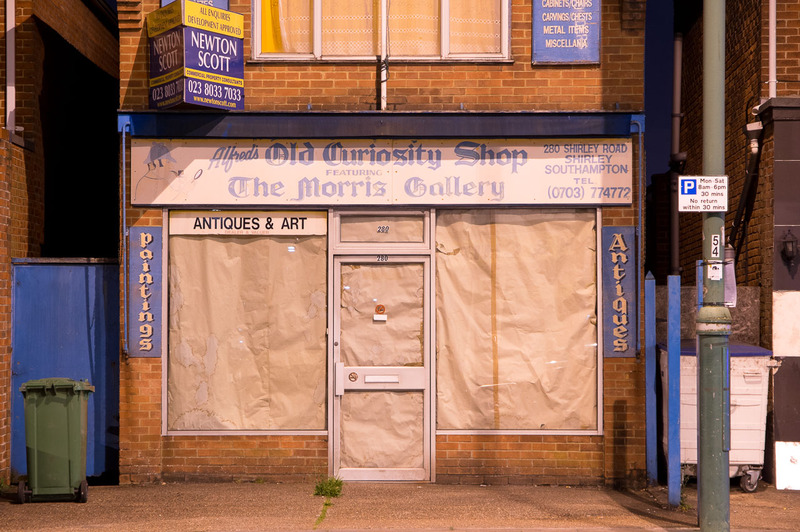 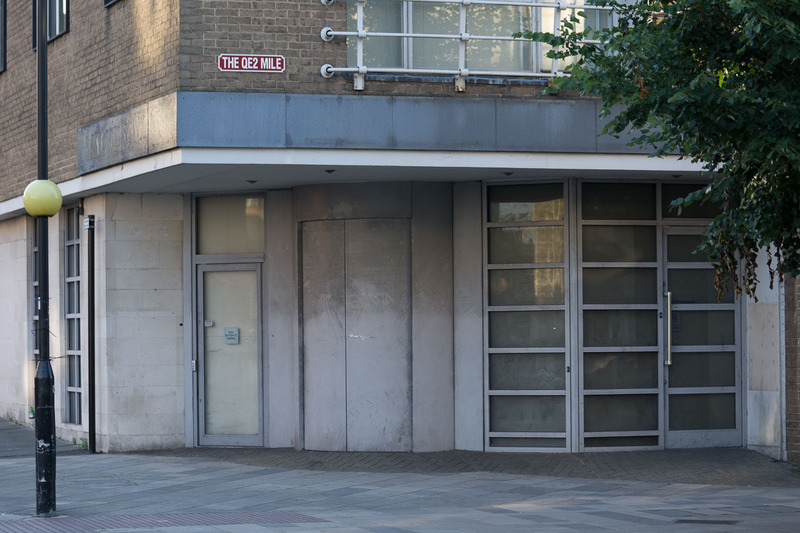 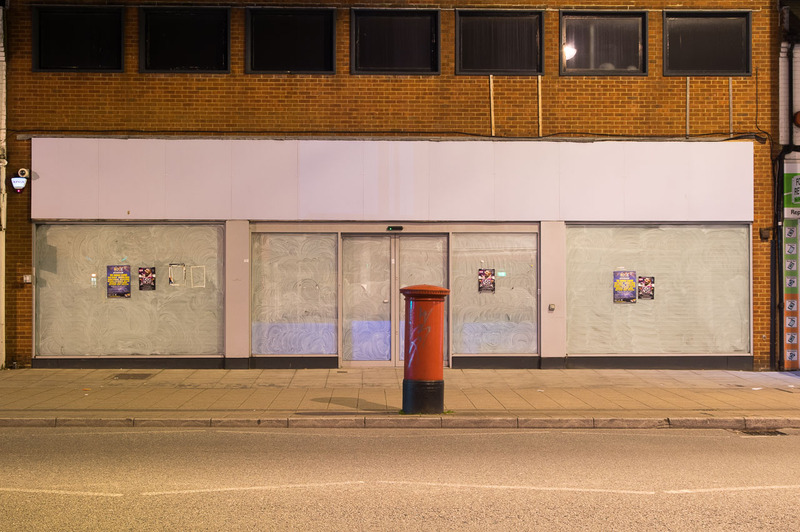 In many cases the buildings have been empty for a number of years or are derelict, while in other spots businesses come and go regularly, lasting a year or so, before another tries their luck. 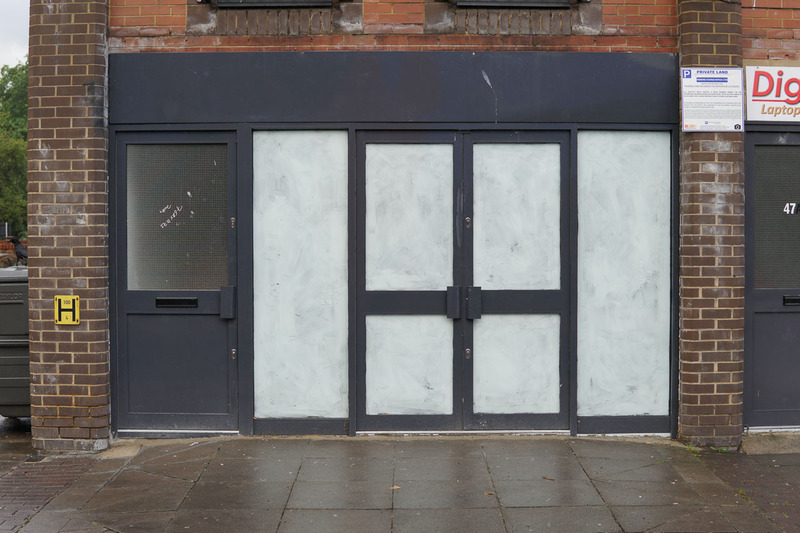 There have been several moves, new closures and openings during the months spanned by this collection. 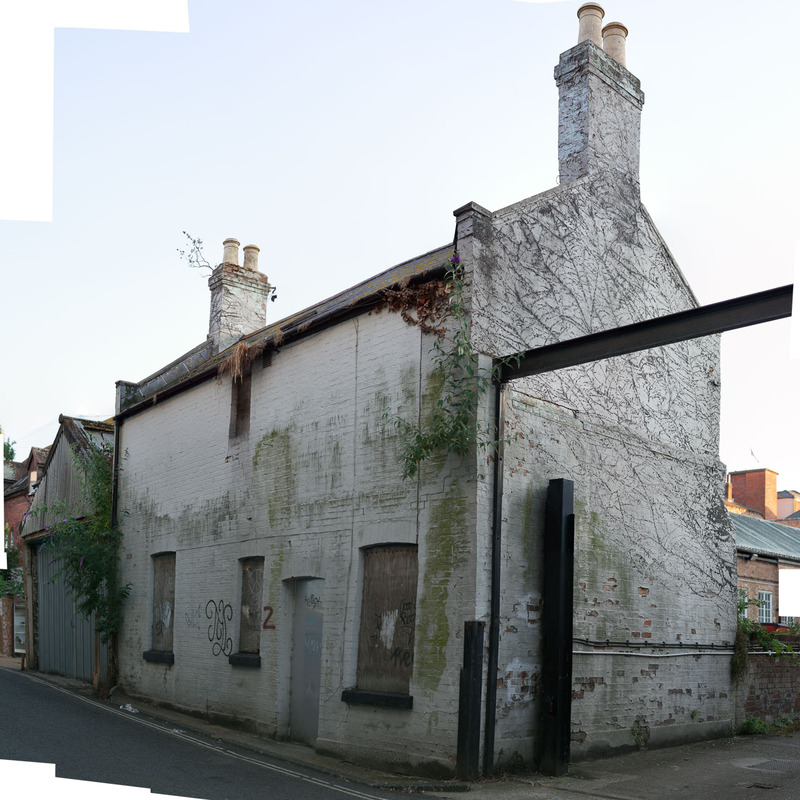 Scroll down for the images and click to enlarge them. 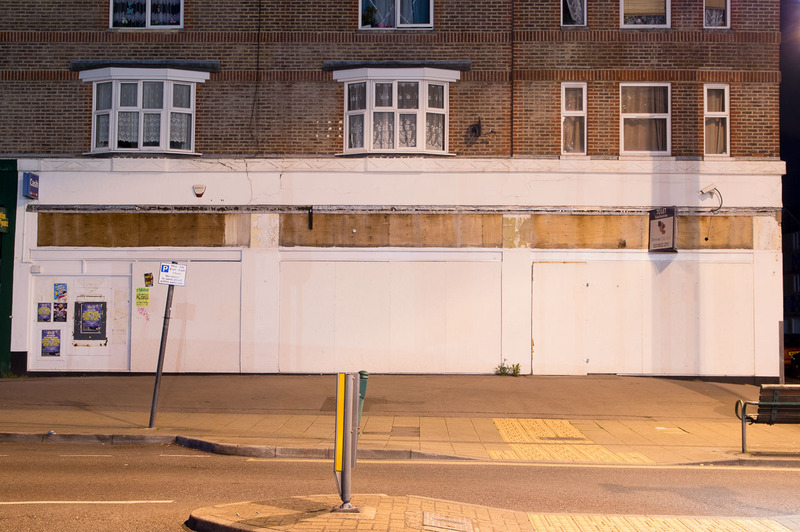 This project started while I was out one night with my camera. 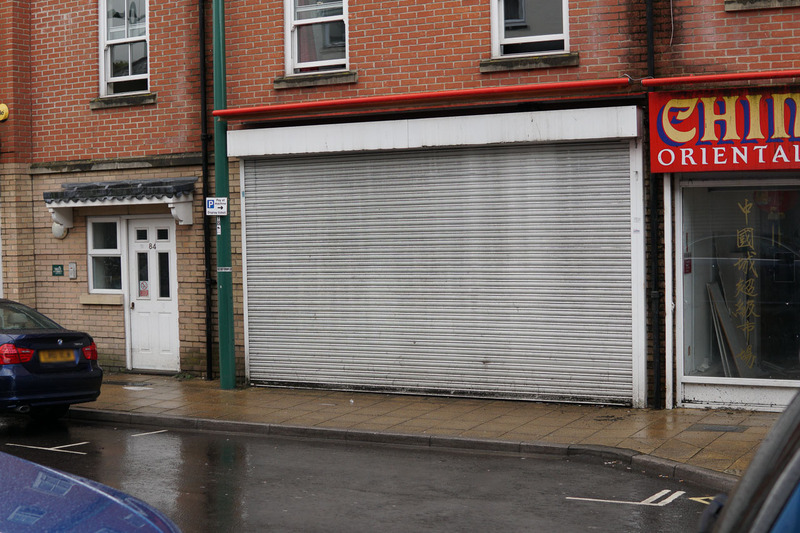 I was walking down the High St and looking at the big shops that were doing business, but just closed for the night. 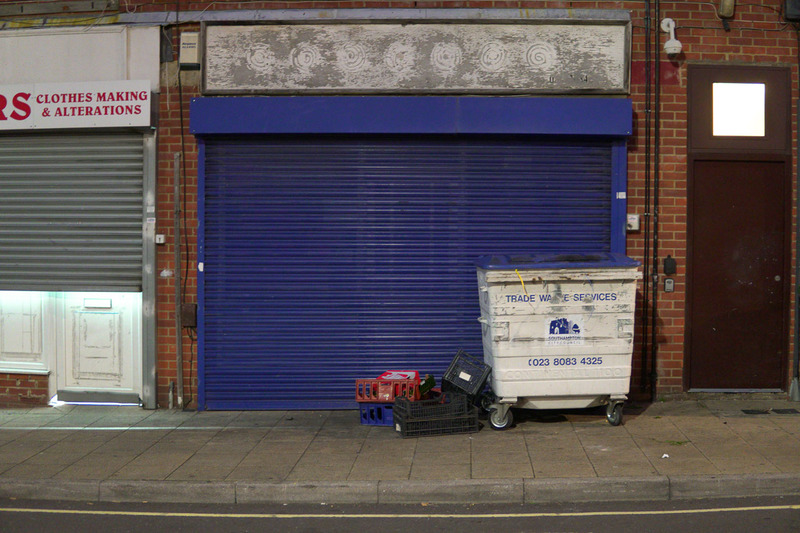 Still with lighting on, still advertising their products in the empty, silent street. 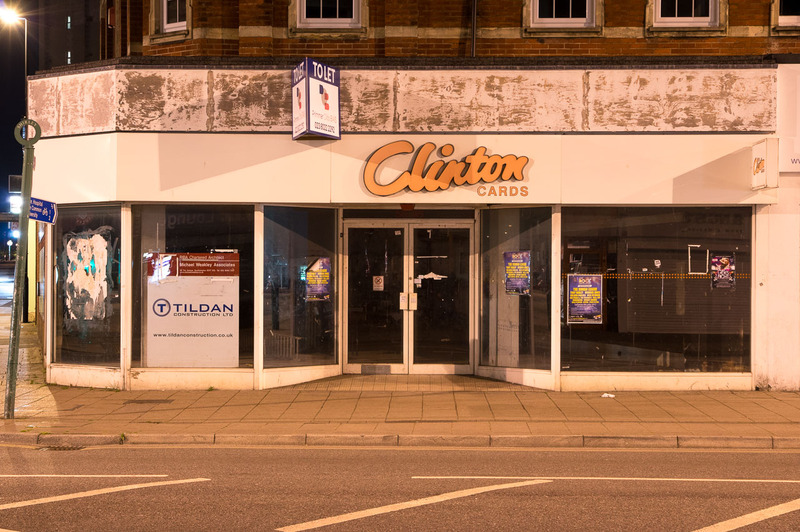 It seemed to be a visual poem of the facile, relentless and ultimately lonely nature of consumerism. 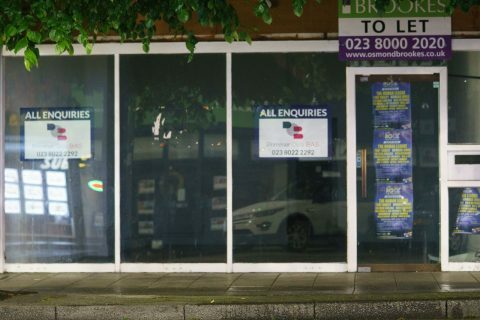 I must have been in a reflective mood. 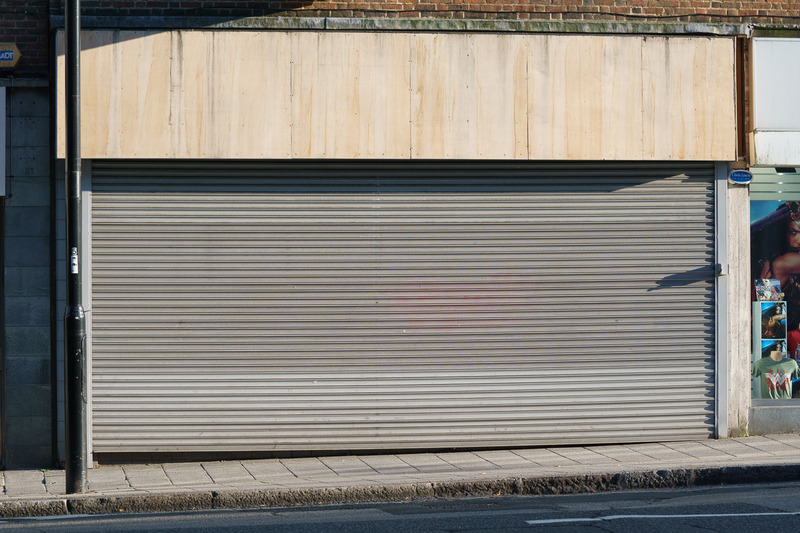 So I started taking pictures of them and it was then I was reminded that quite a few of the shops were not opening the next business day. I think once you’ve lived in Southampton for a while you tend to ignore it if you can. 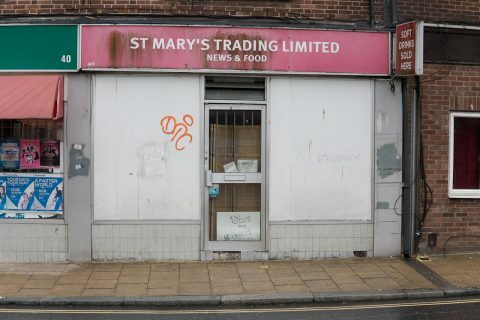 It’s hard to believe I’ve spent nearly 19 years in this city. 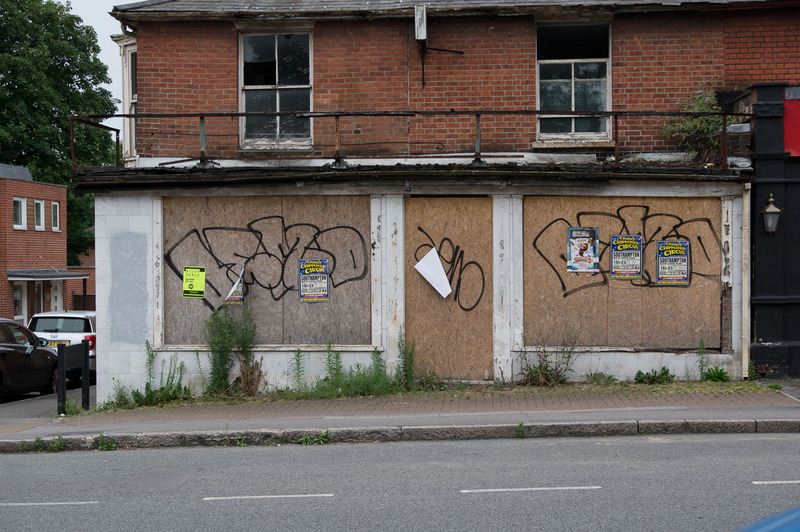 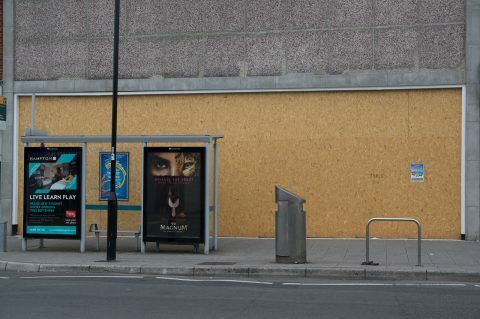 But looking at those more thoroughly deserted spaces then, some of which had had time to grow mould and various flora over their fronts, with layers of old event flyers built up across their windows, I felt a moment of personal identification. 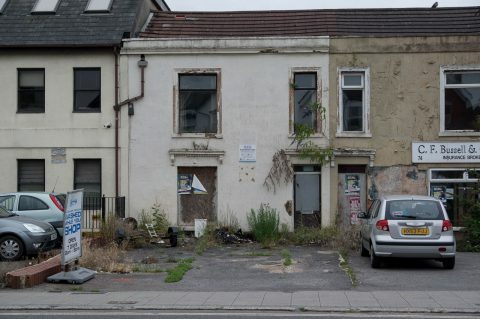 Something about the dilapidation and failed dreams, routinely ignored by passers by, much like the homeless people who shelter and beg beneath them, spoke to my soul. 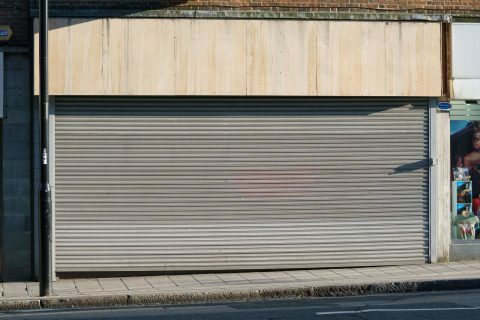 I feel fairly certain most people have some parts of their life, or times in it, that would be an emotional fit for the visage of these deserted spaces, even while they might also have much they’re grateful for. So there I was having that moment of recognition and at the same time I realized this was more than an evenings work. 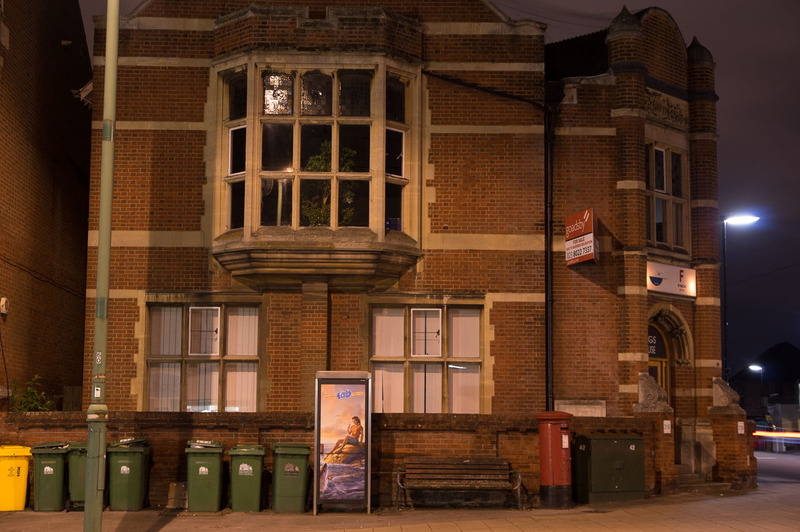 Over several afternoons and evenings (better for getting clear pictures without people in the way) I cycled around Southampton collecting as many as I could. While doing this I had the idea that collating all these images and displaying them publicly somewhere could be of some social value. 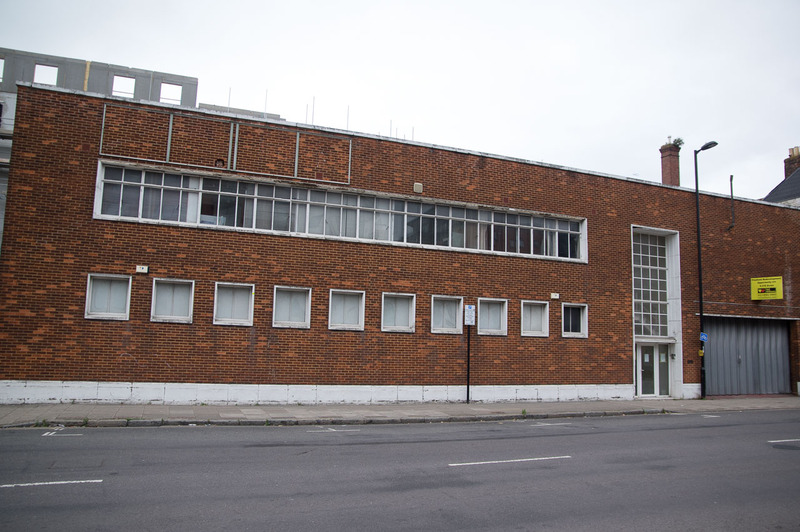 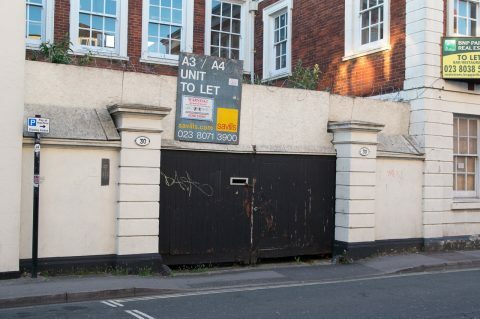 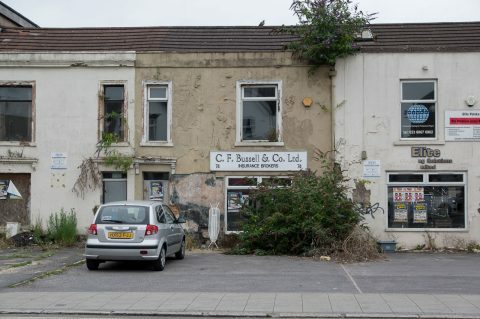 That it might help fuel a discussion in the community about this situation and focus more minds of coming up with a better use for these buildings and disused spaces than letting them waste while their land value rises. I’d like to add as many stories as I can from previous business owners of some of these spaces to this project. 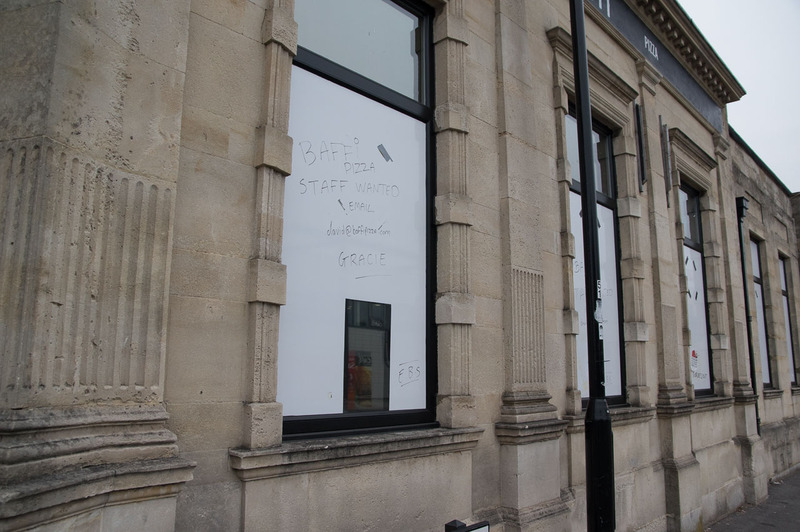 So if you are one, or know someone who is, please get in touch. 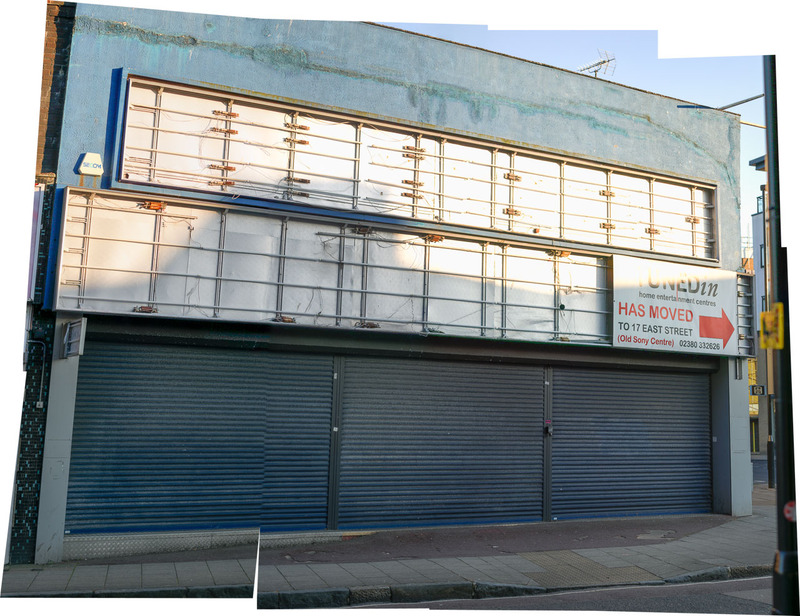 One of the first questions you might ask, seeing these images, is why are all these spaces abandoned? 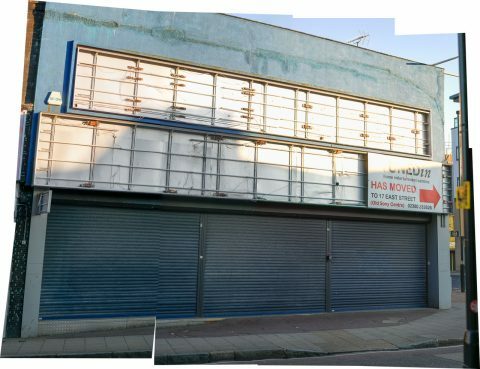 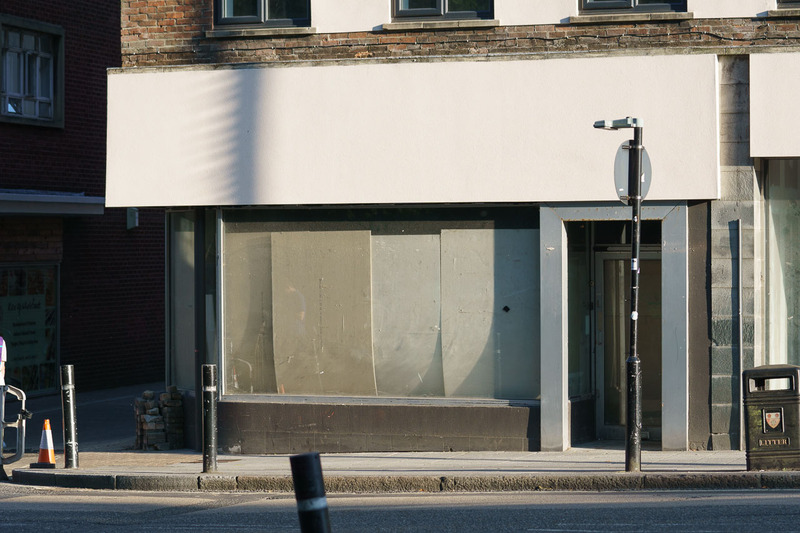 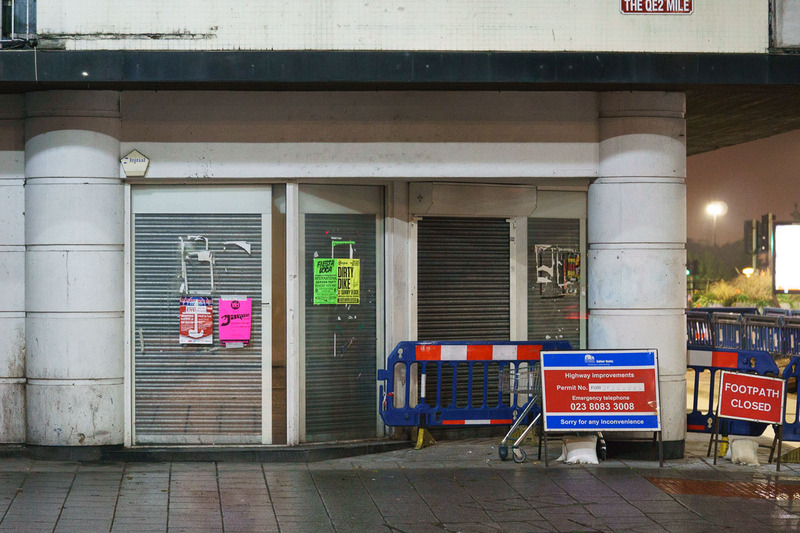 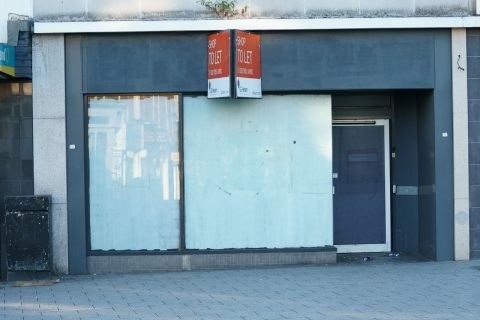 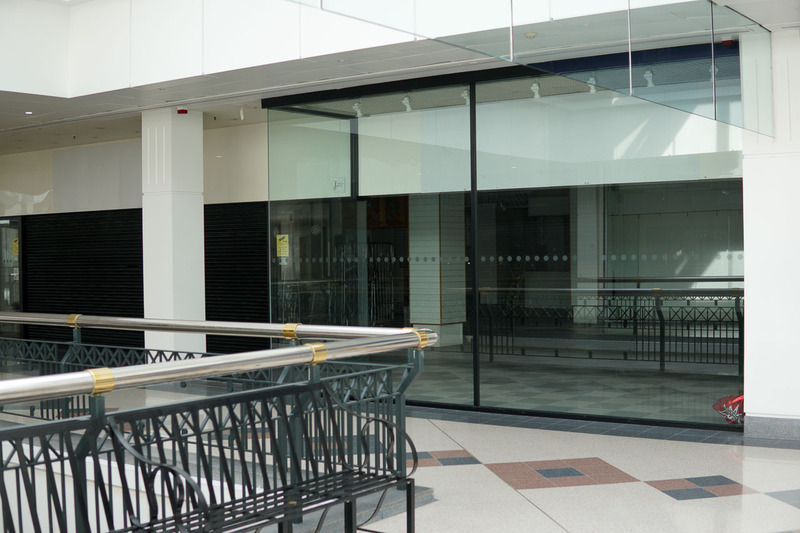 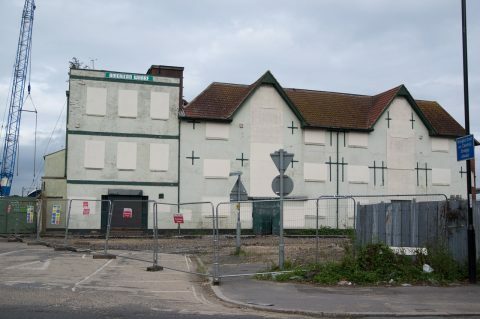 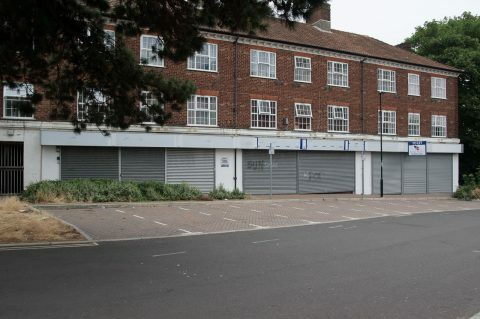 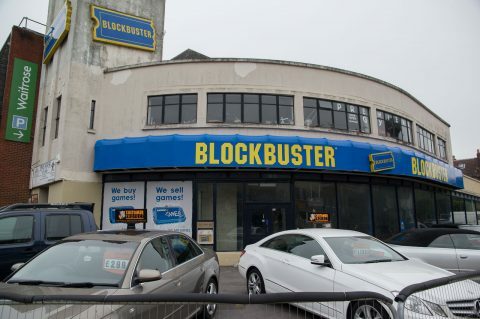 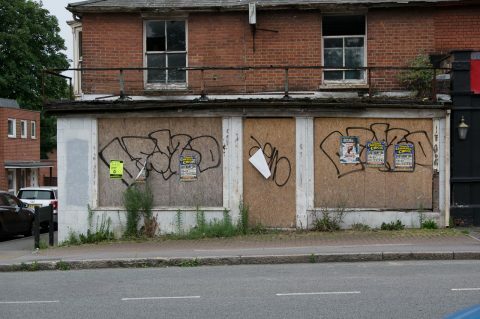 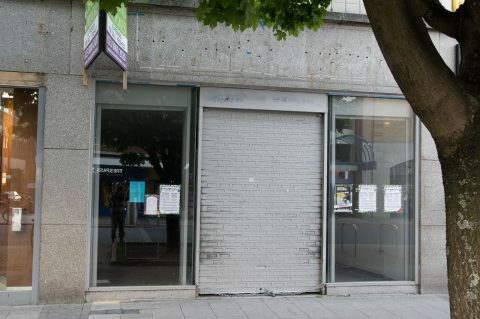 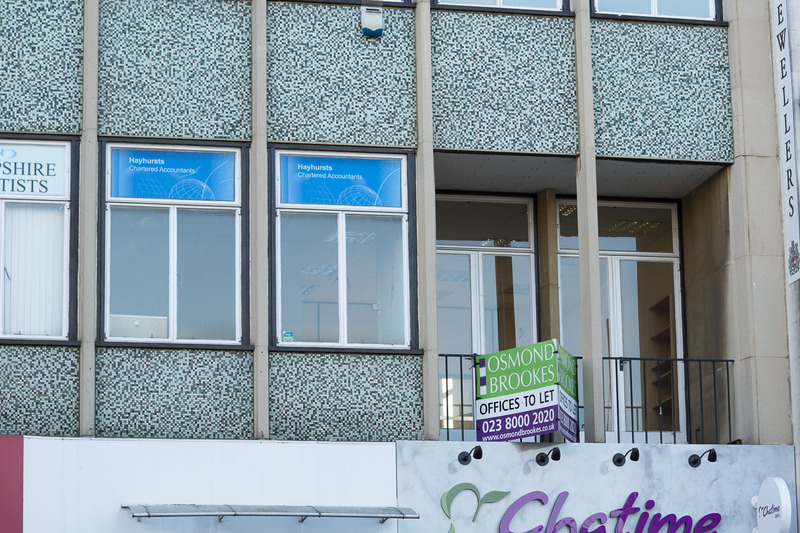 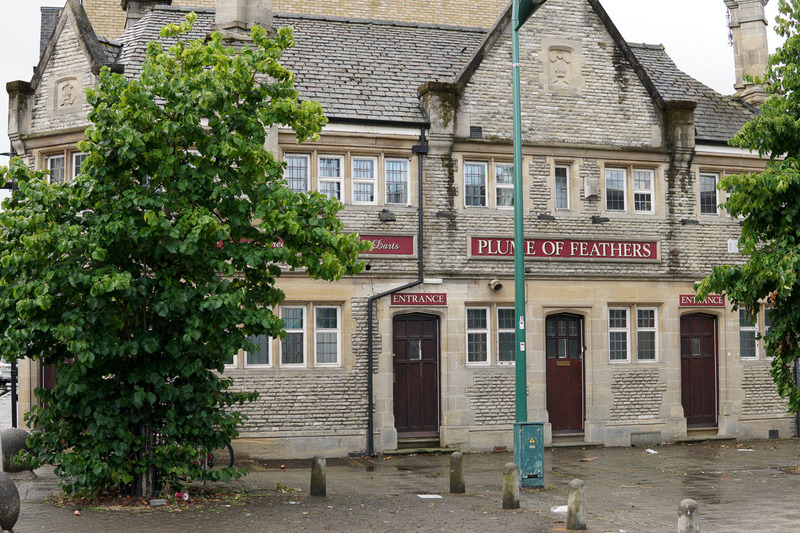 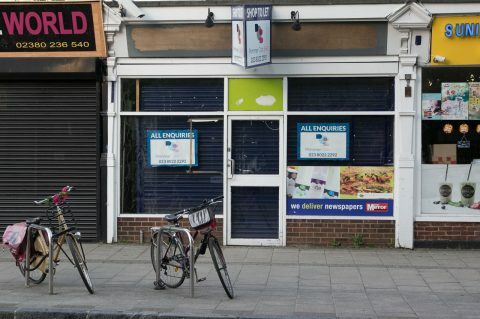 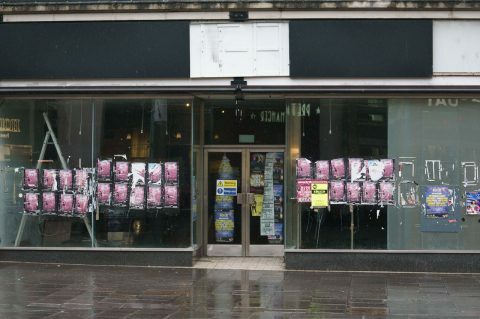 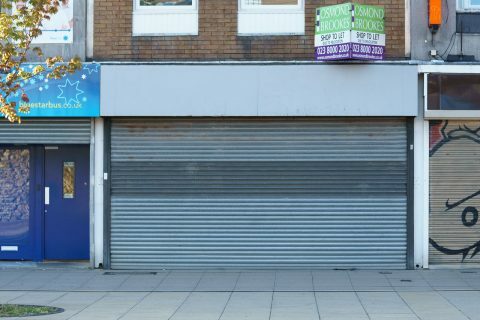 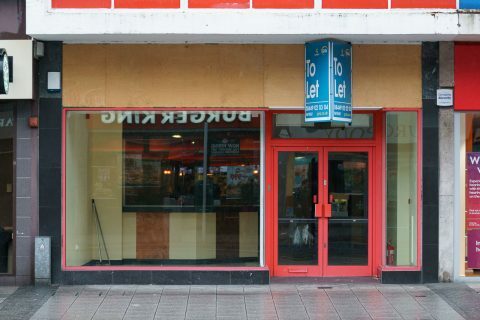 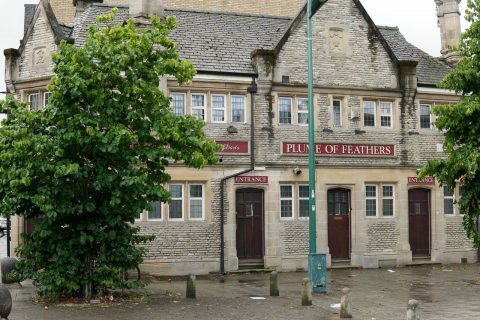 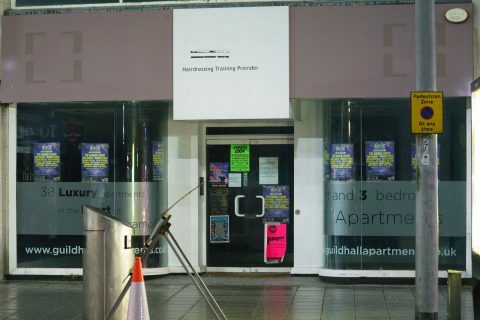 There are various factors for why so many businesses have closed and the spaces remained empty: An economy which for most people has remained in recession for a decade meaning less spending to sustain businesses, a shift to online retail and the ongoing ideological austerity politics which has meant councils have less money to renovate and re-purpose buildings. 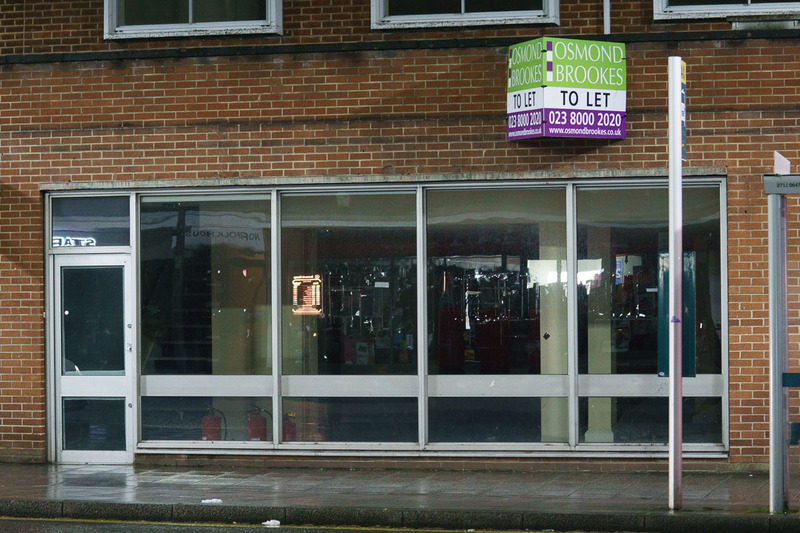 But in addition to those factors Southampton has a glut of shopping centres and big franchise eateries. 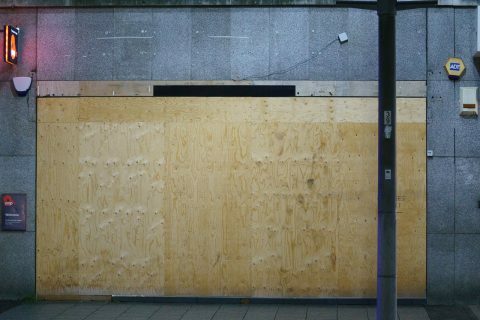 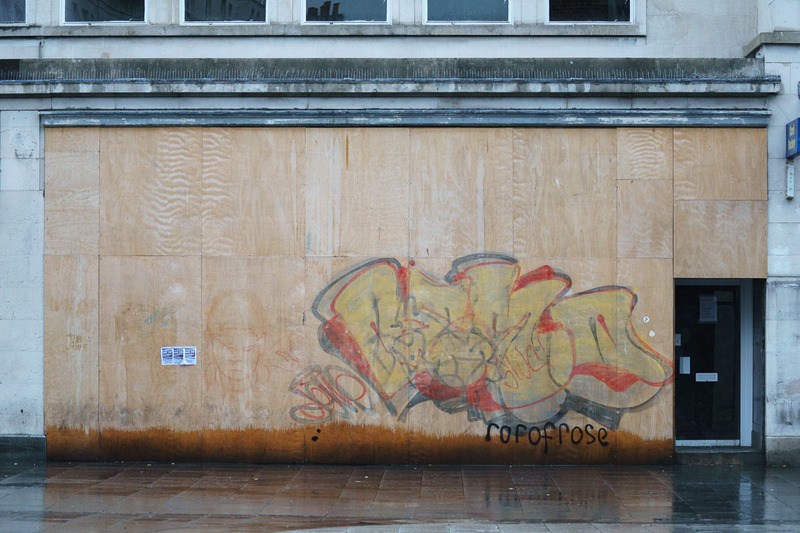 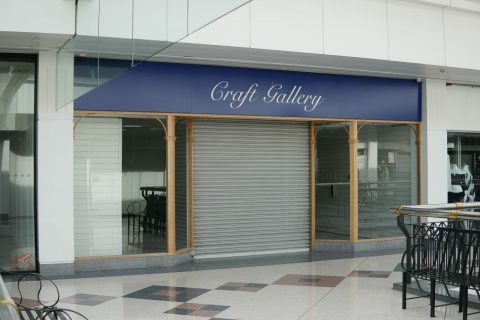 The Bargate shopping centre by the city gates is closed and boarded up, while the one at the bottom of East St was torn down a few years ago. 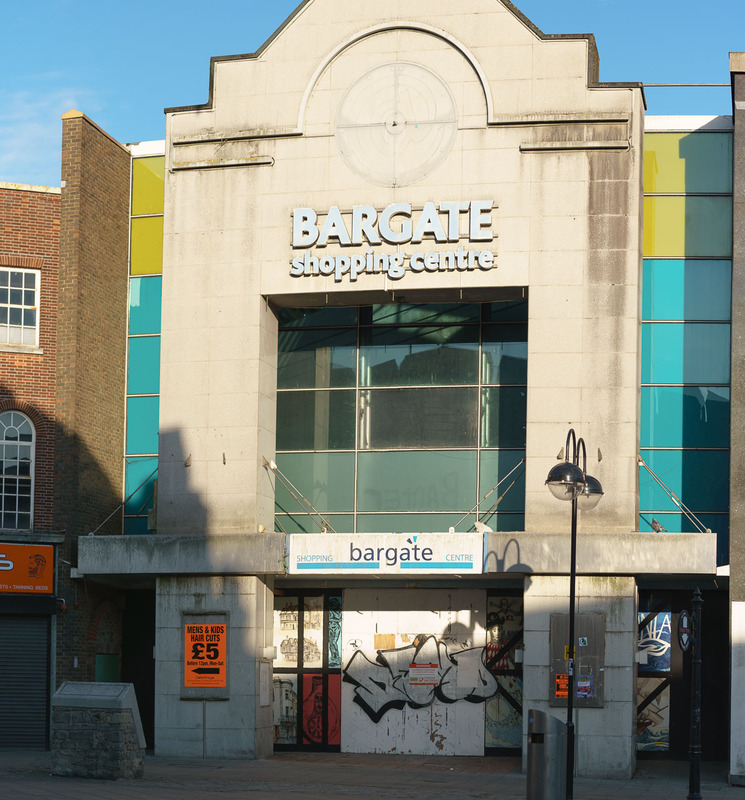 Marlands seems to be dying a slow death, while the sprawling West Quay remains the premier shopping destination of the city. 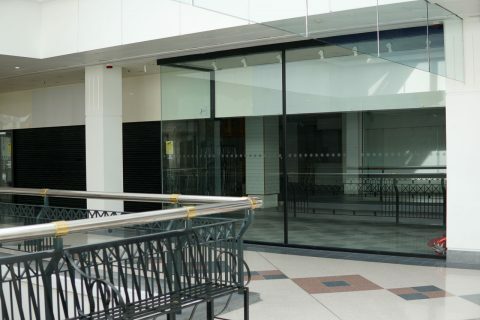 Last year the Watermark extension was opened next to it with a new retail unit, a 10 screen cinema (not exactly a booming industry in recent years) and up to 20 new restaurants. 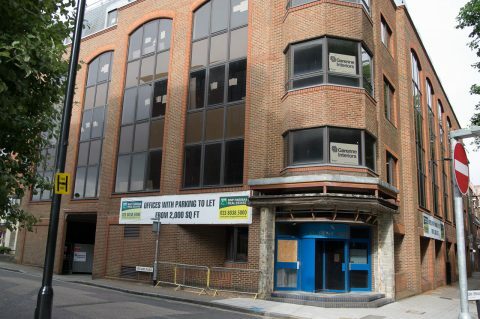 These developments can only further saturate the markets they compete in within the city. 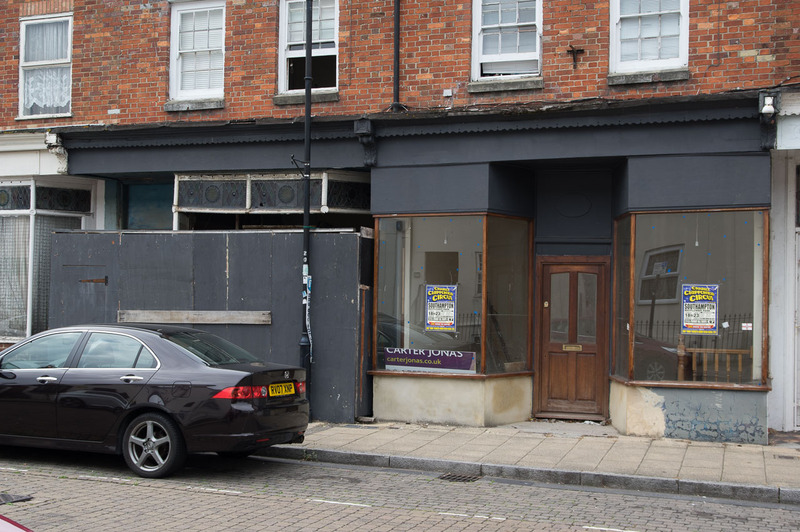 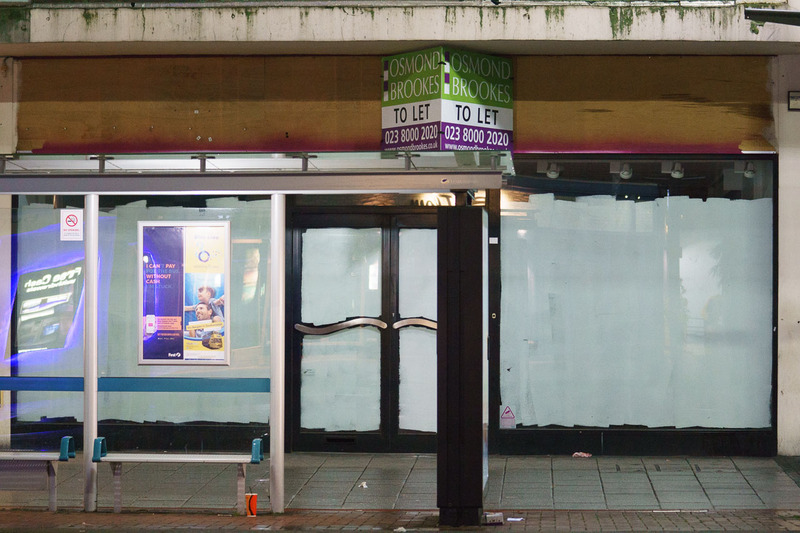 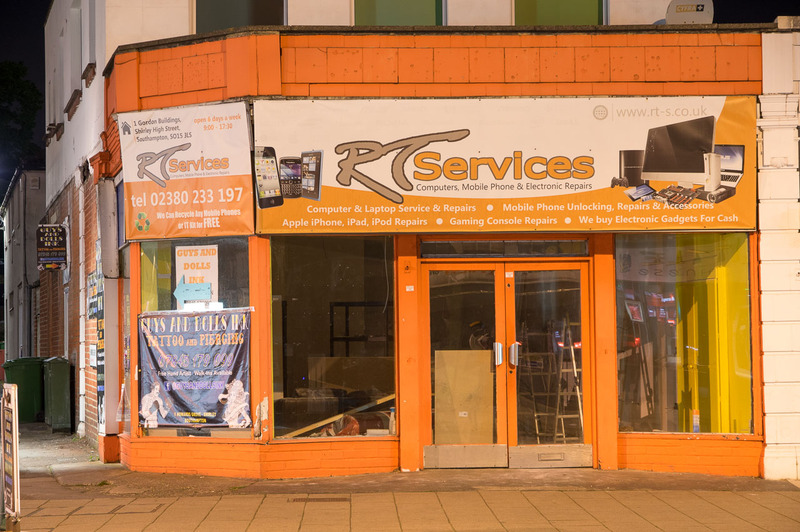 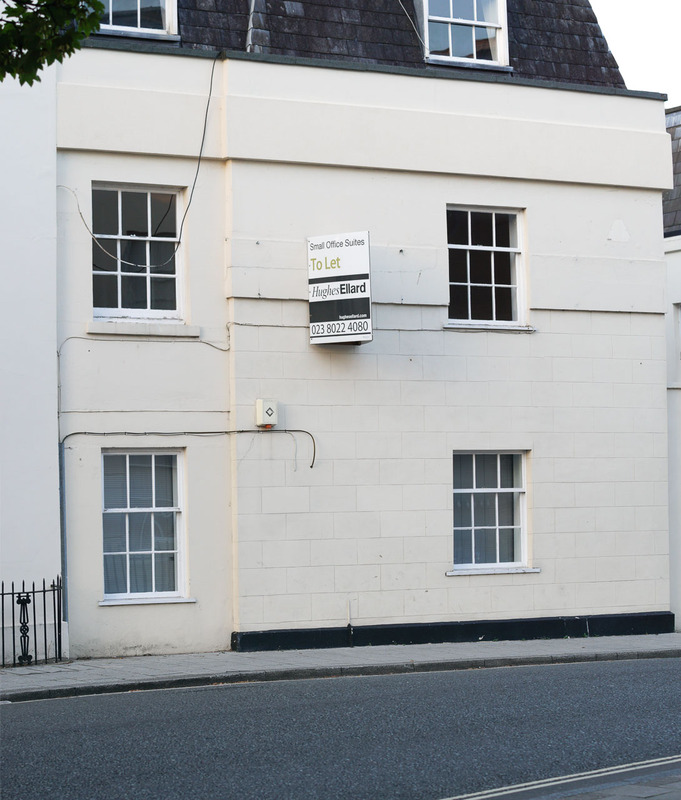 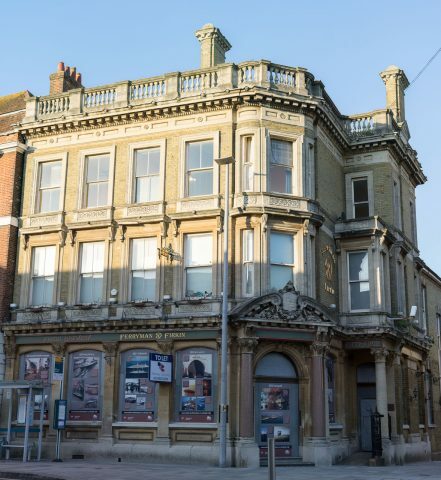 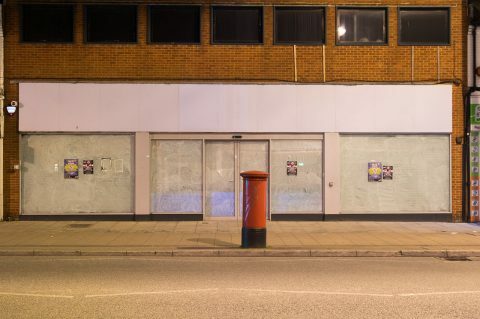 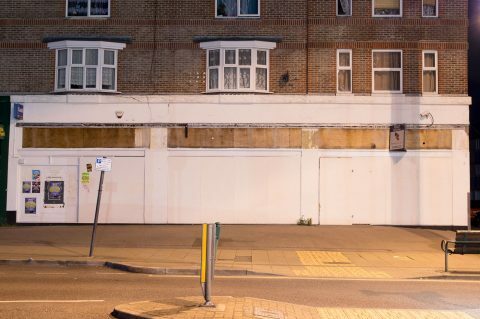 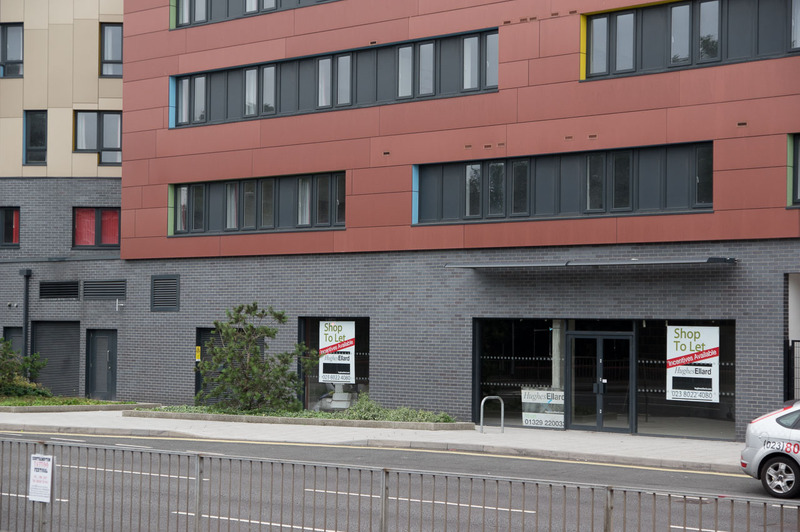 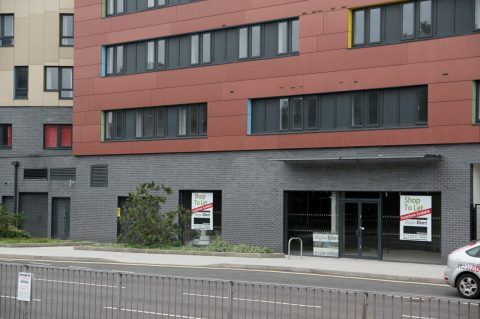 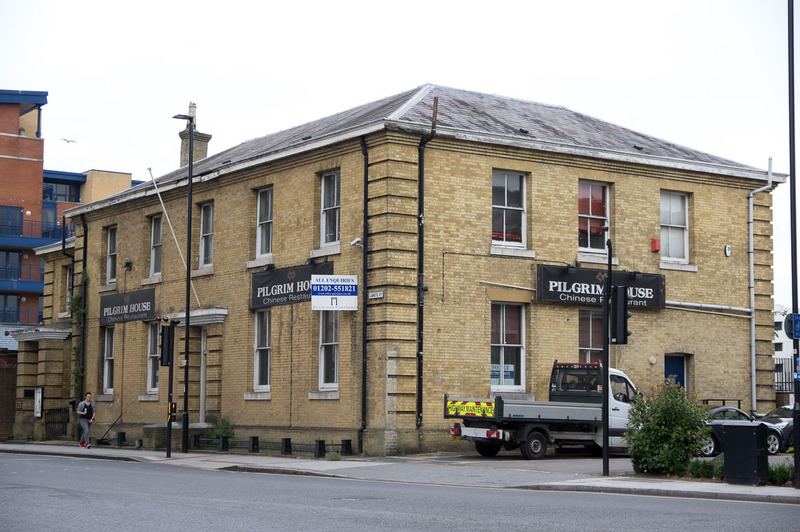 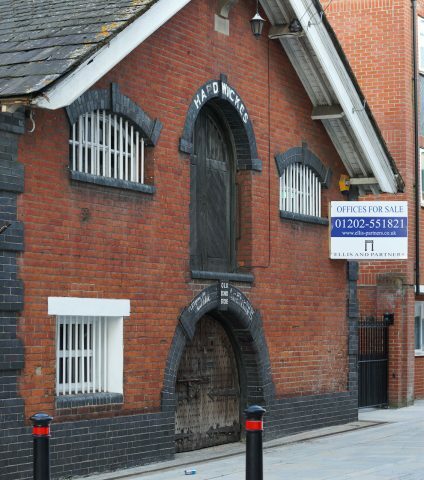 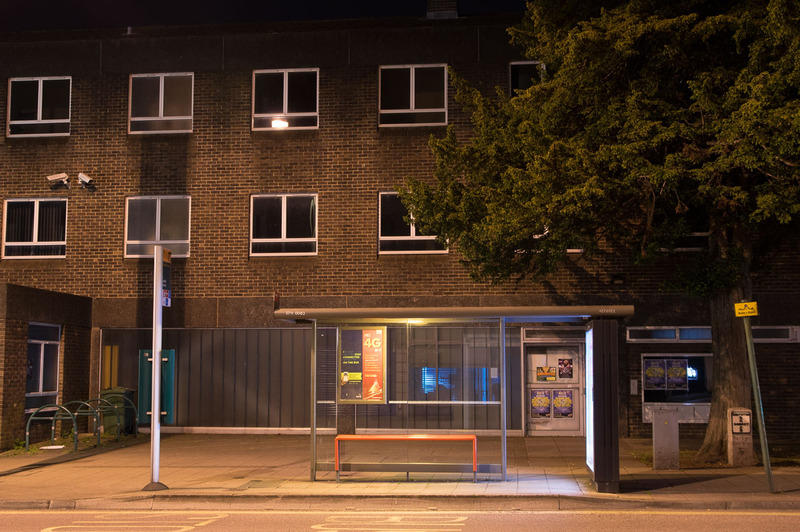 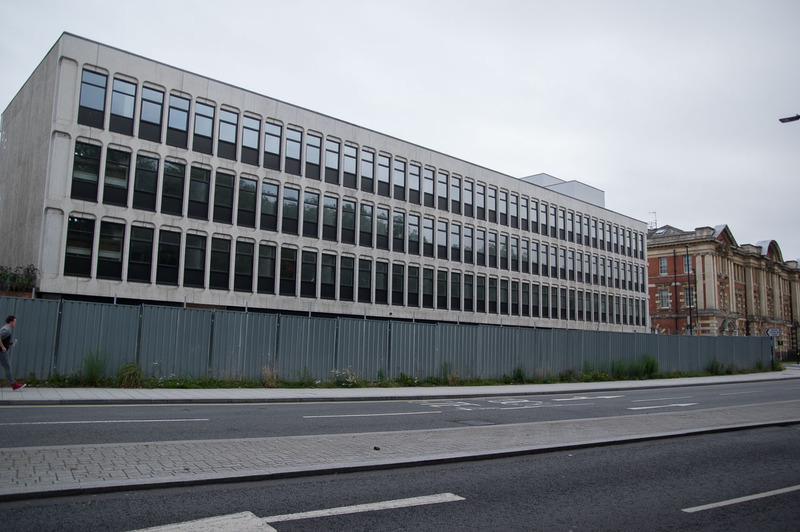 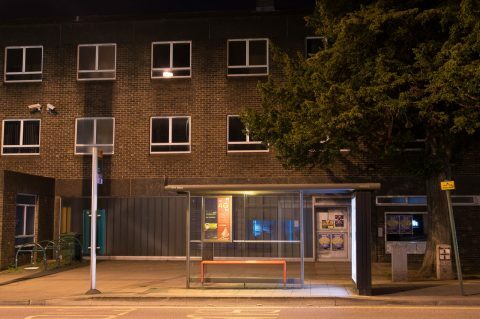 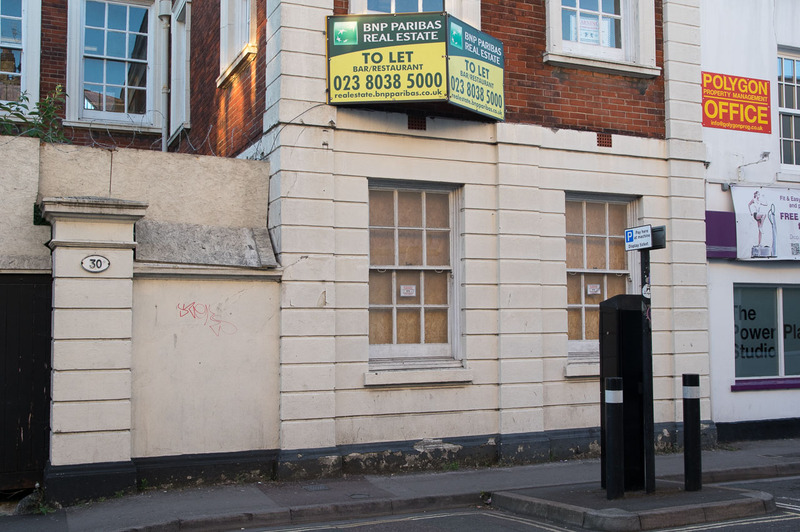 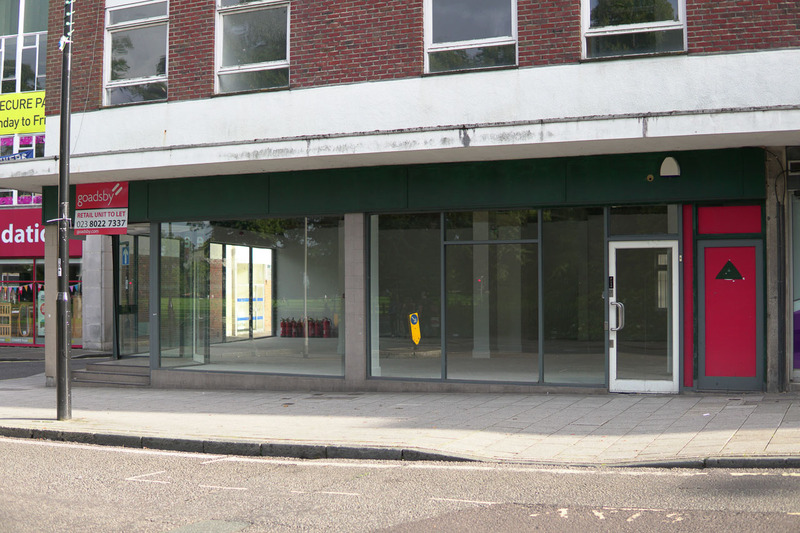 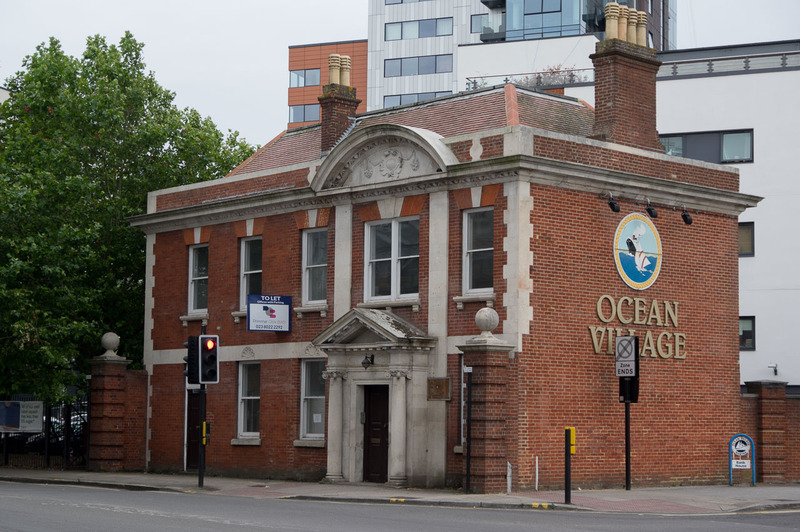 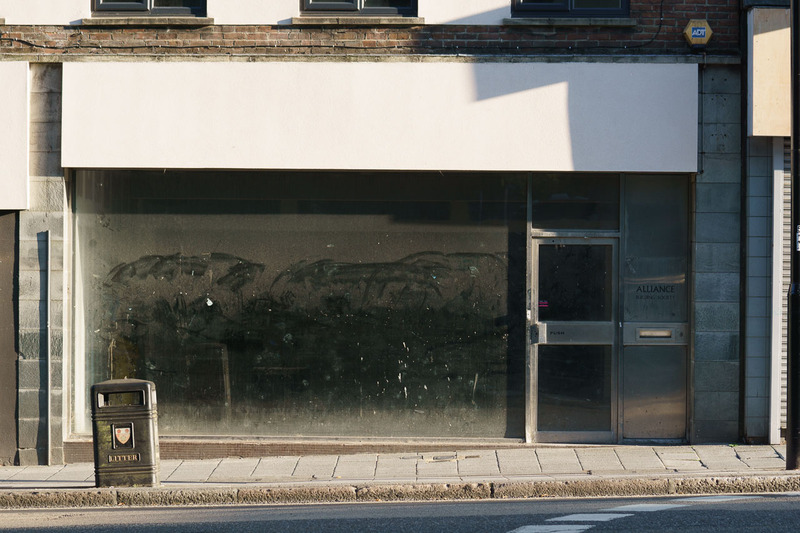 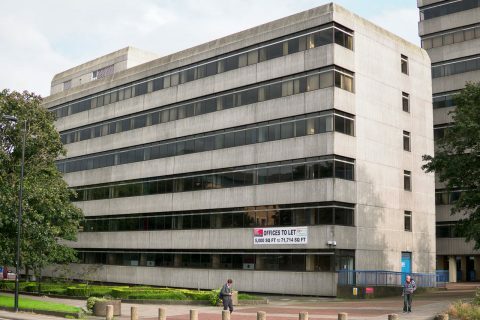 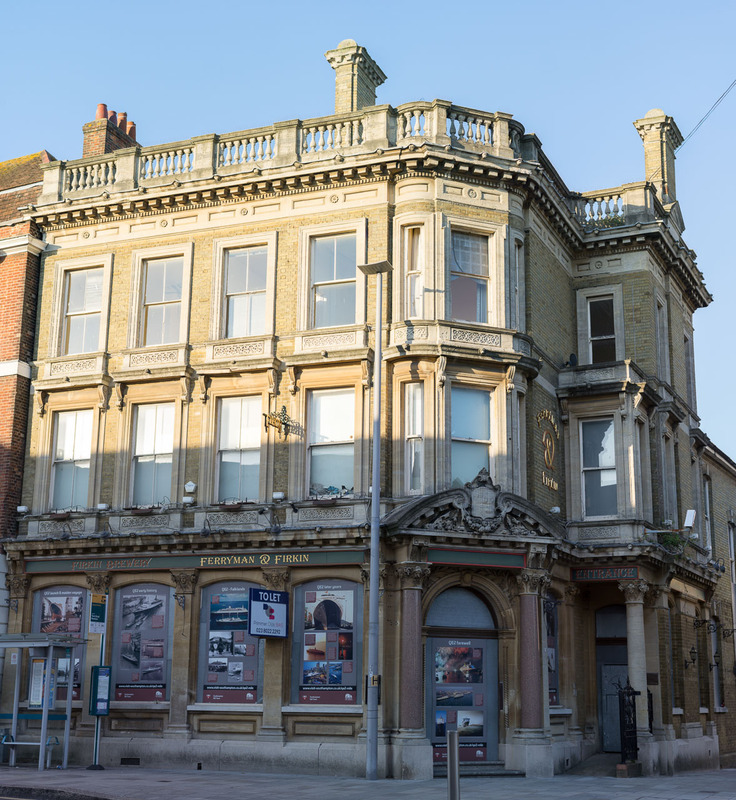 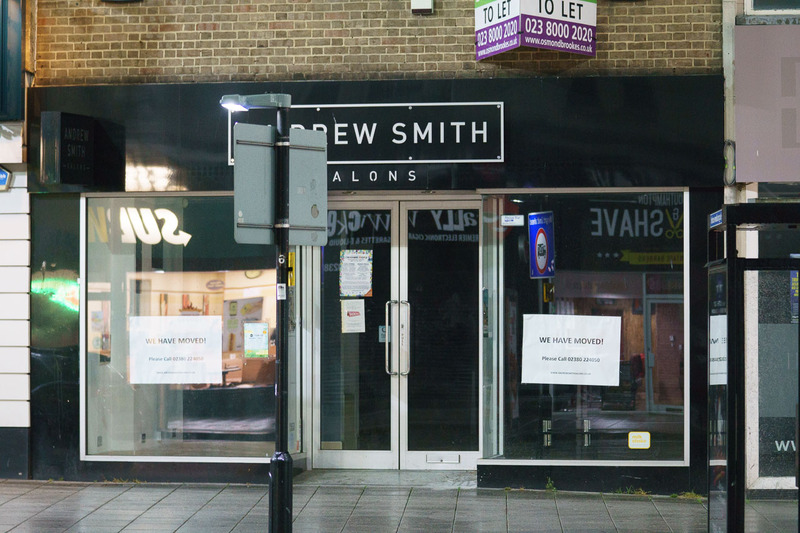 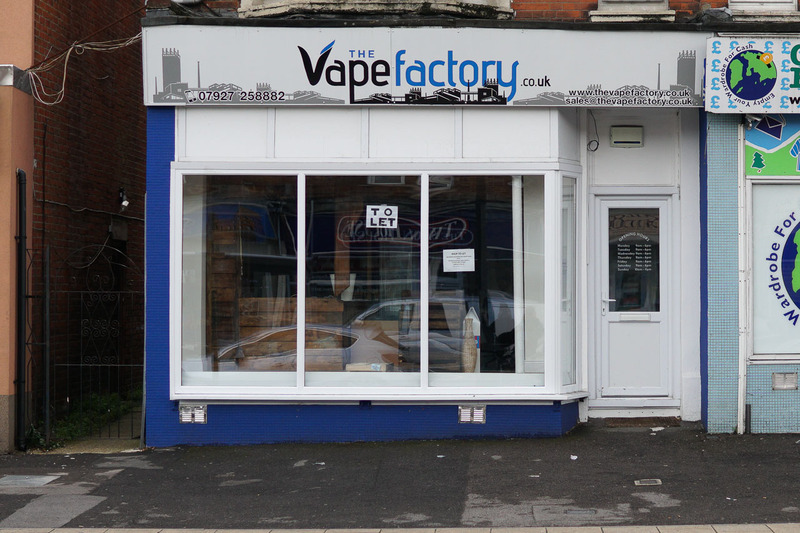 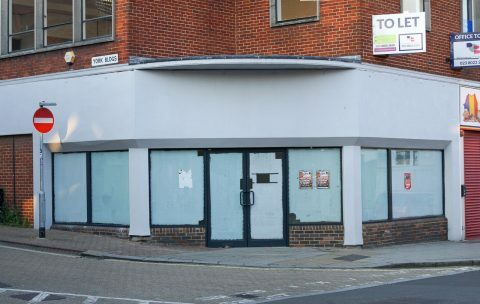 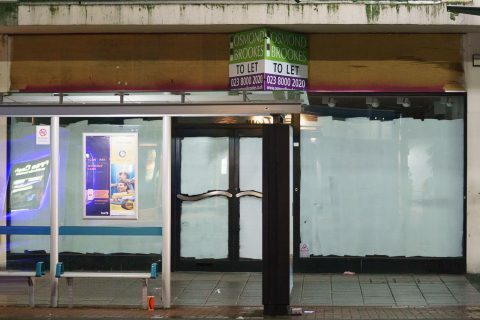 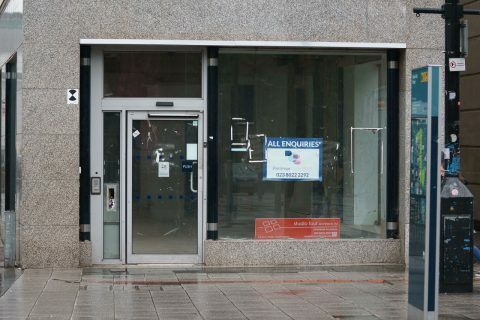 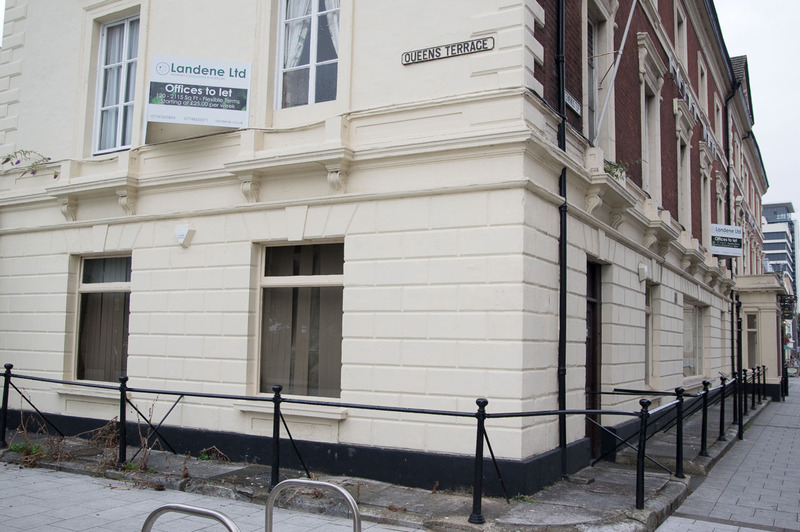 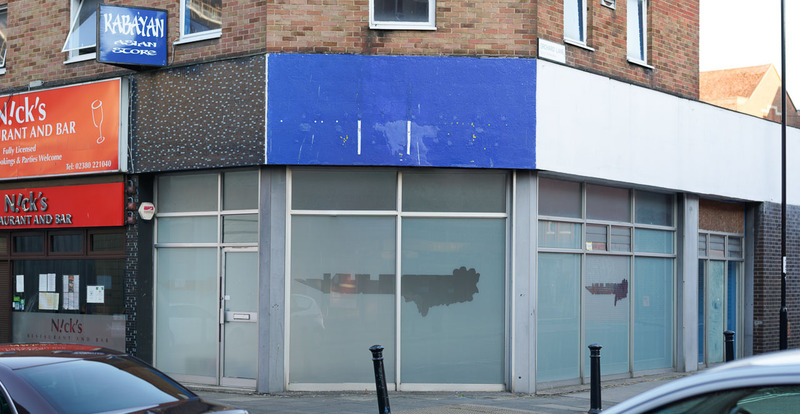 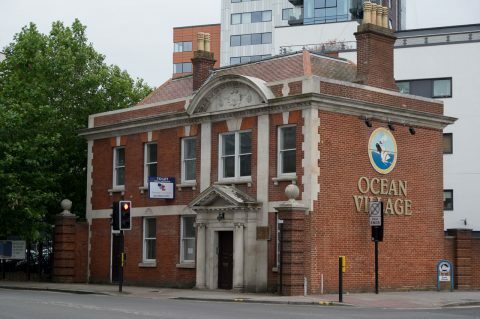 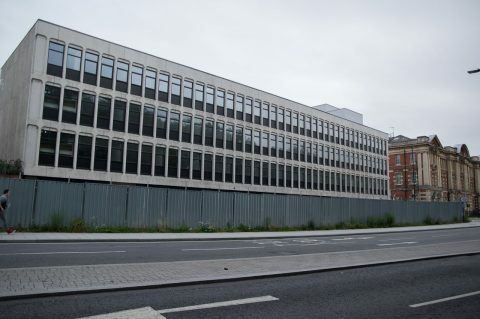 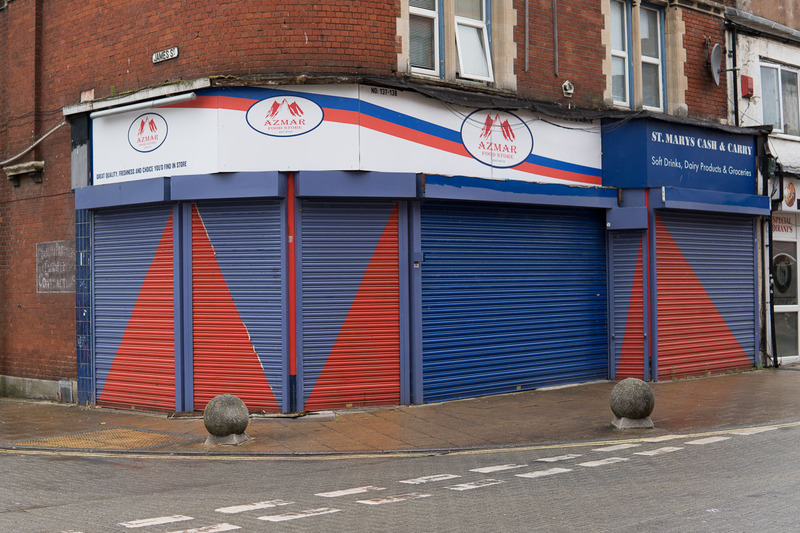 Whatever the mix of factors, the usual business models for use of commercial space, mainly for smaller businesses but also for some of the bigger ones, are failing enough to leave the number of empty spaces Southampton now has. What then aught to be done with these spaces? 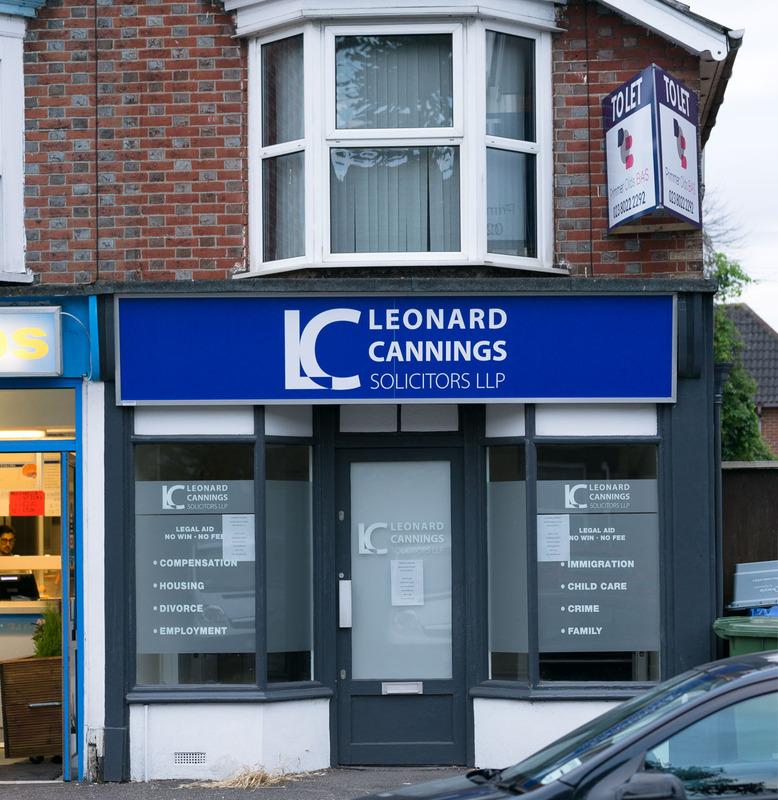 There’s clearly a business in buying and selling properties, and profit can be made while a building remains empty, simply through the inflation in the property market. Still, can it really be justified to have so many good spaces be left locked away and unused in the city, when there are countless great uses that people within the community could put them to? 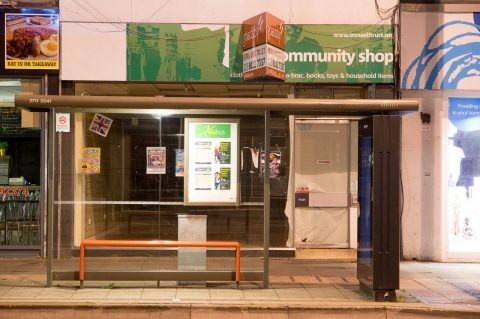 Some obvious ones: shelter for the homeless, pop-up shops, creative spaces for artists of all kinds, office space for non-profit NGOs with a community interest, community group meeting spaces. Most of these could be realized with relatively little effort and expense by the council, where they own such a disused building. Feel free to post your own suggestions, ideas or reflections on this situation in the comments. Love the pictures, I also take pictures of shops and businesses closed or open as it won’t be long before every shop will be closed apart from coffee shops and eating places. 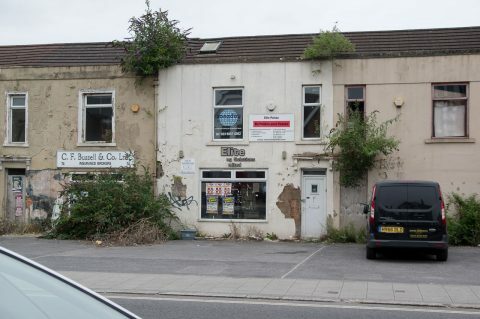 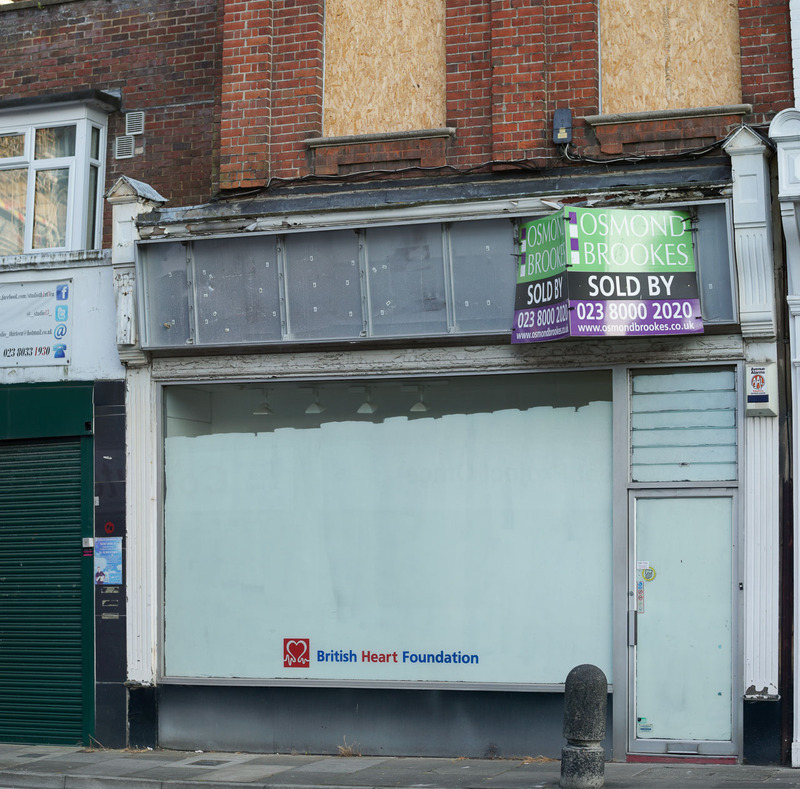 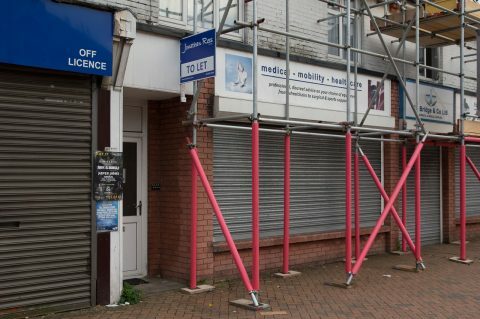 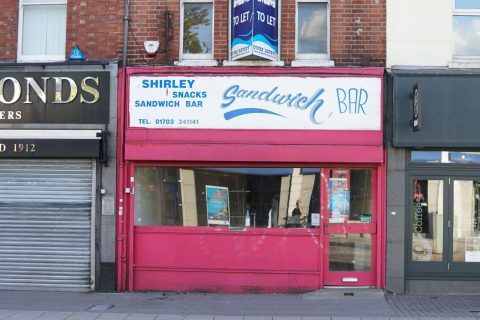 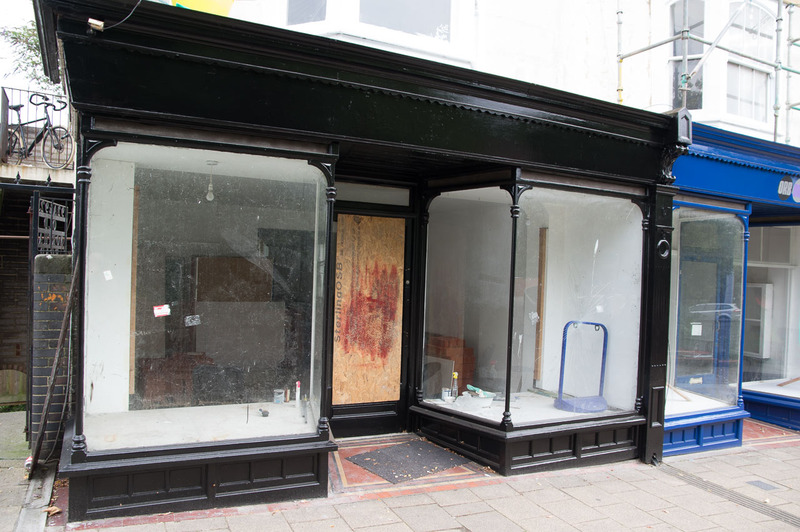 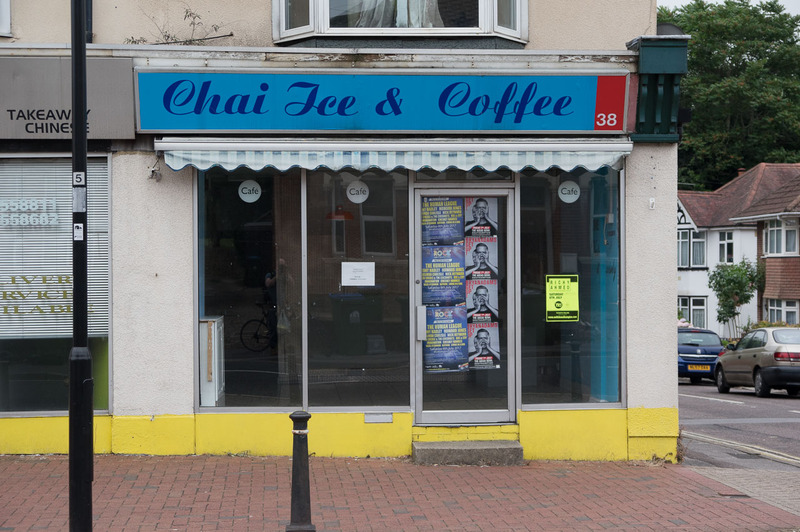 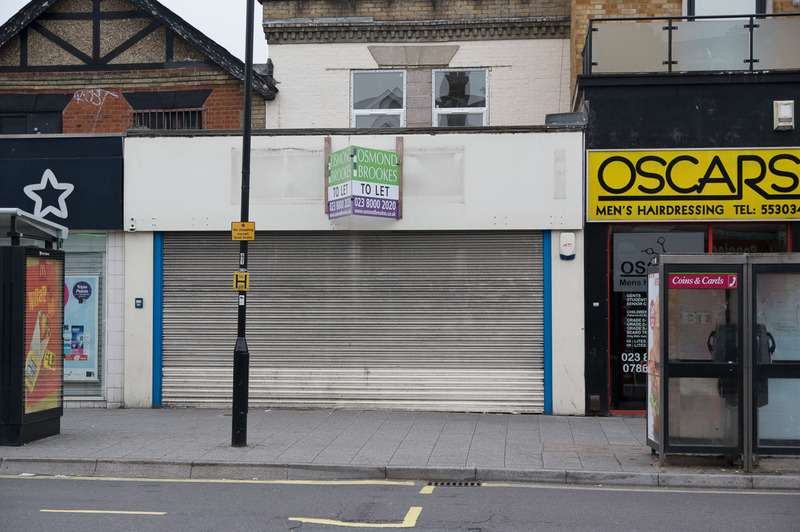 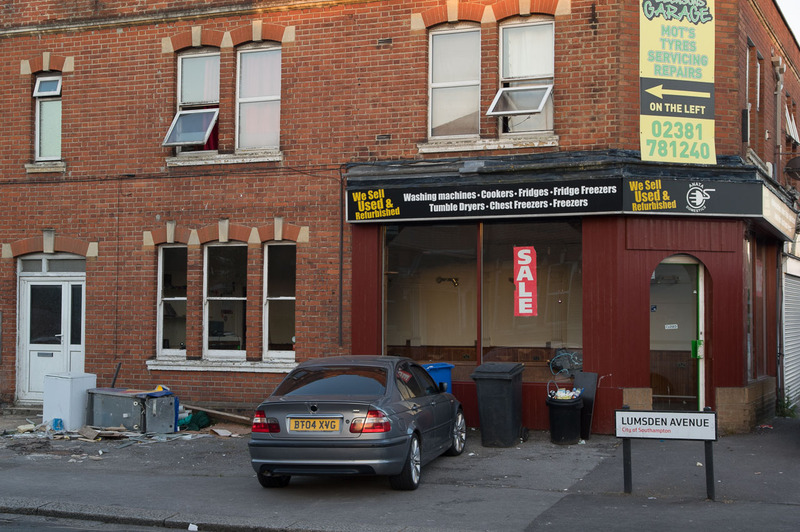 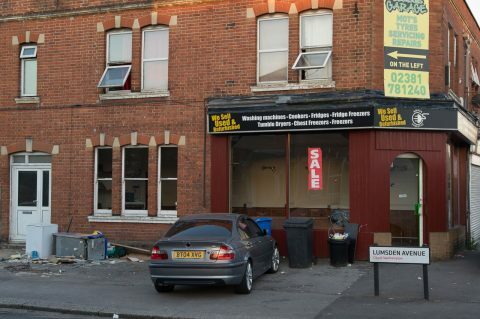 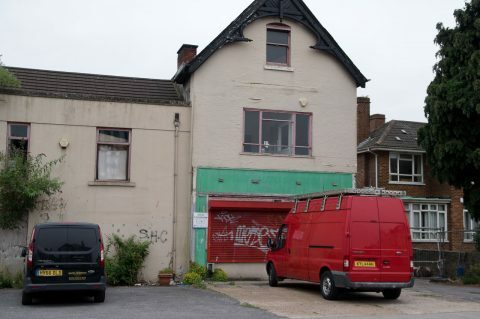 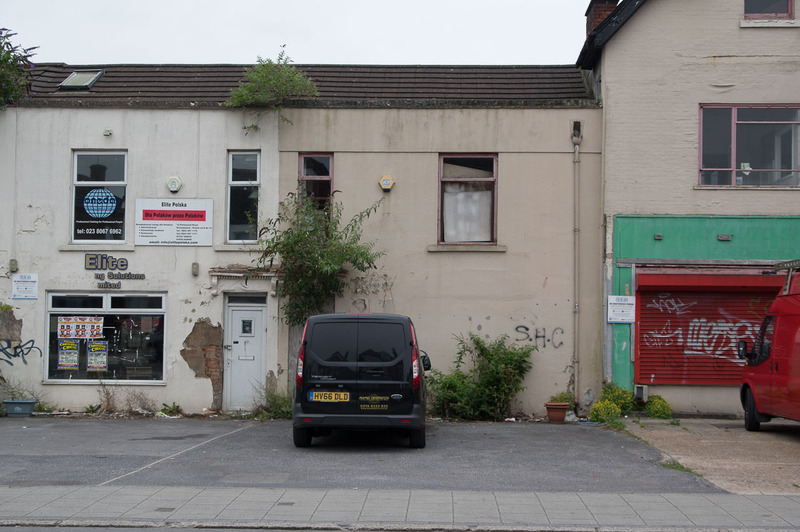 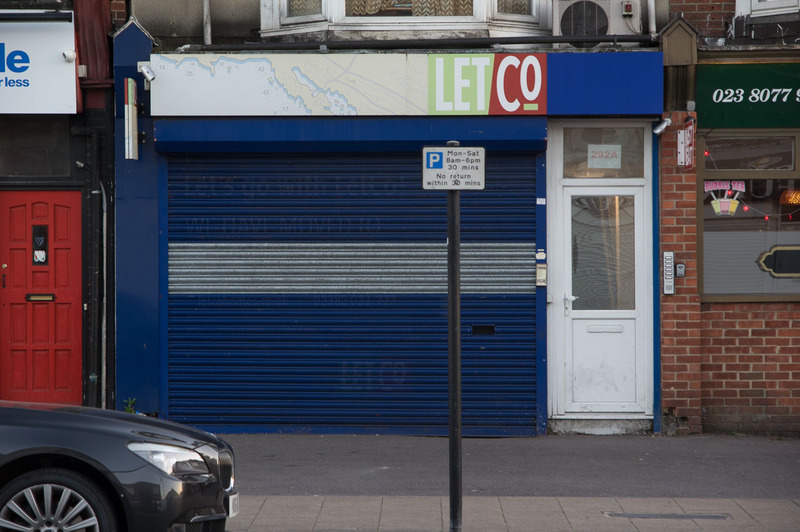 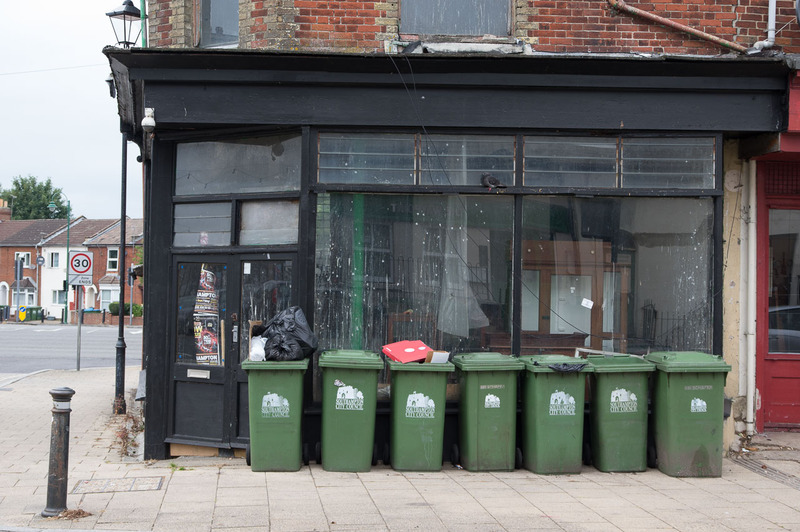 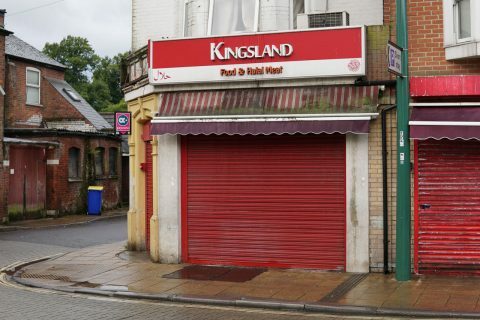 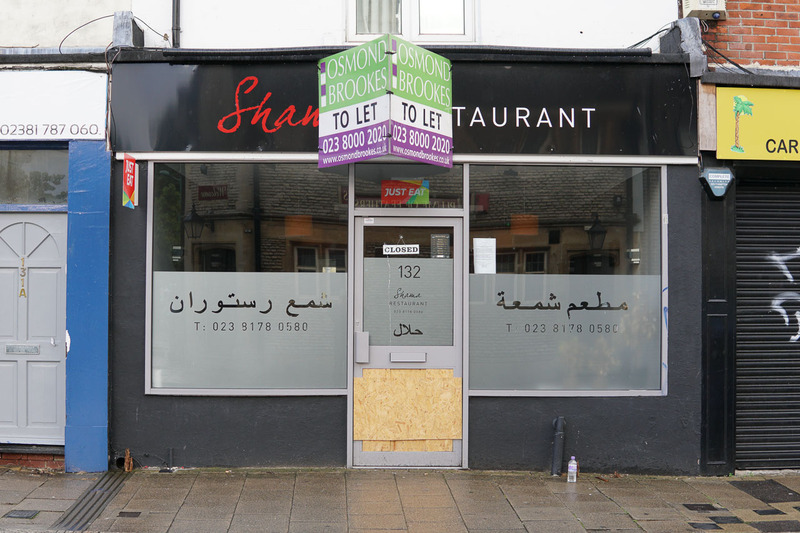 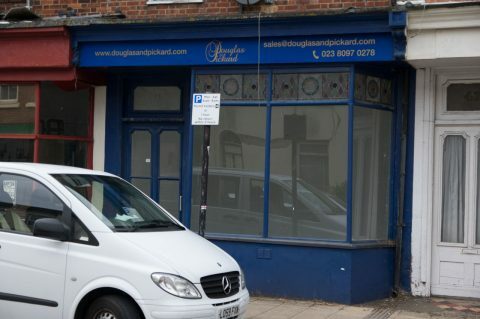 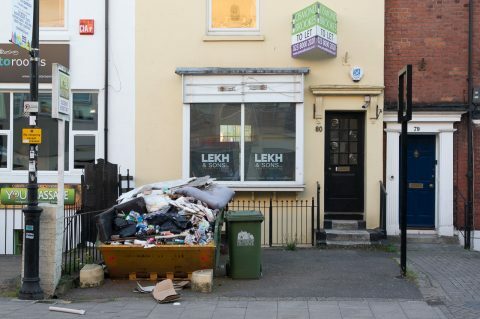 The landlords are to greedy and if they can’t let them they sell to property developers so they can’t loose either way, if another coffee shop applies for a licence to the council they give it straight away because they don’t like to see empty shops. 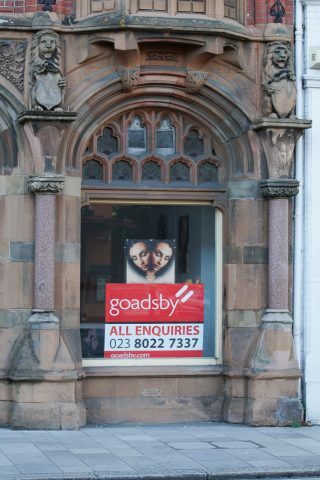 Why can’t landlords let the shops free for a year and if there doing well then ask for a resnoble rent. 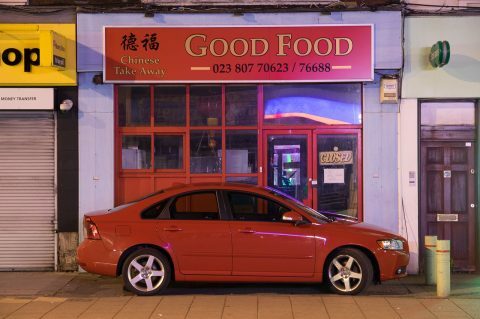 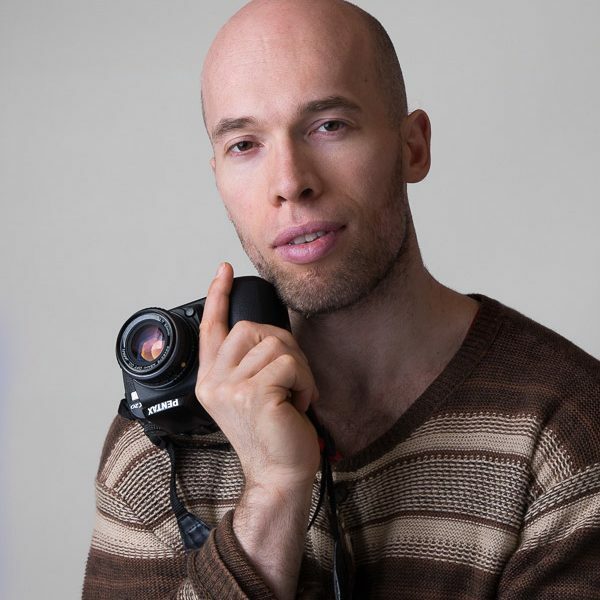 Hi – Great photos but a sad reflection of our times. 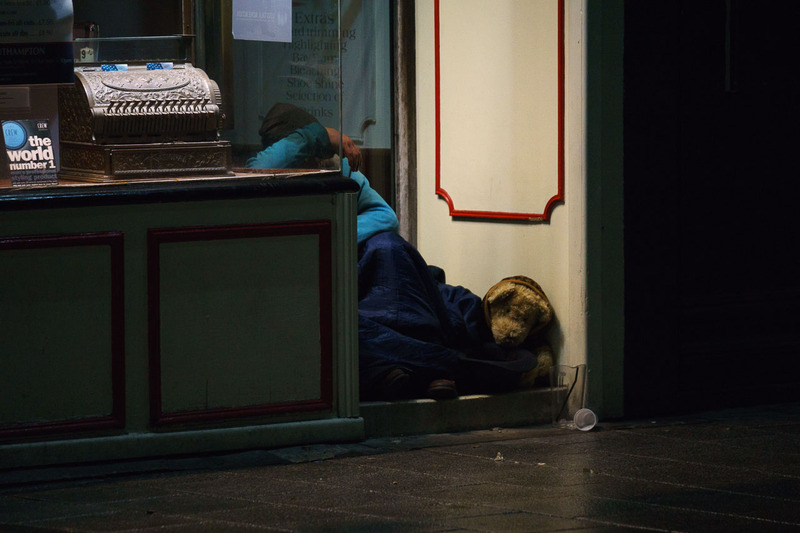 Greedy parasitic landlords to blame. 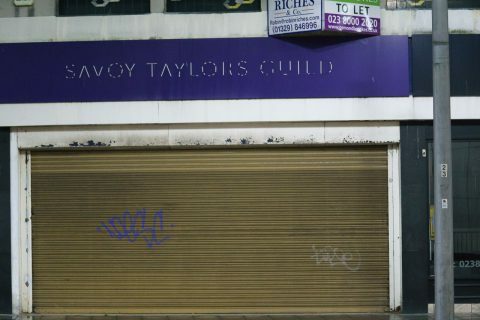 Property is theft.